I have spent this summer immersed in 826 National’s innovative approach to supporting young people’s education, and I will leave this internship more motivated than ever to cultivate education practices that ensure all our young people can meet their full potentials. Despite the fact that the 826 mission revolves around supporting students, I have spent virtually no time working hands-on with students. Instead, my internship has focused on the behind-the-scenes end of nonprofit management. I have learned a staggering amount about the day-to-day processes that are required to support the vast network of 826 chapters. Many of my projects have supported the annual 826 National Staff Development Conference, which hosts more than one hundred staff members from across the country. Other tasks have been focused on expanding the resources available on 826 Digital, a free online resource for educators looking to take their writing curriculum to the next level. 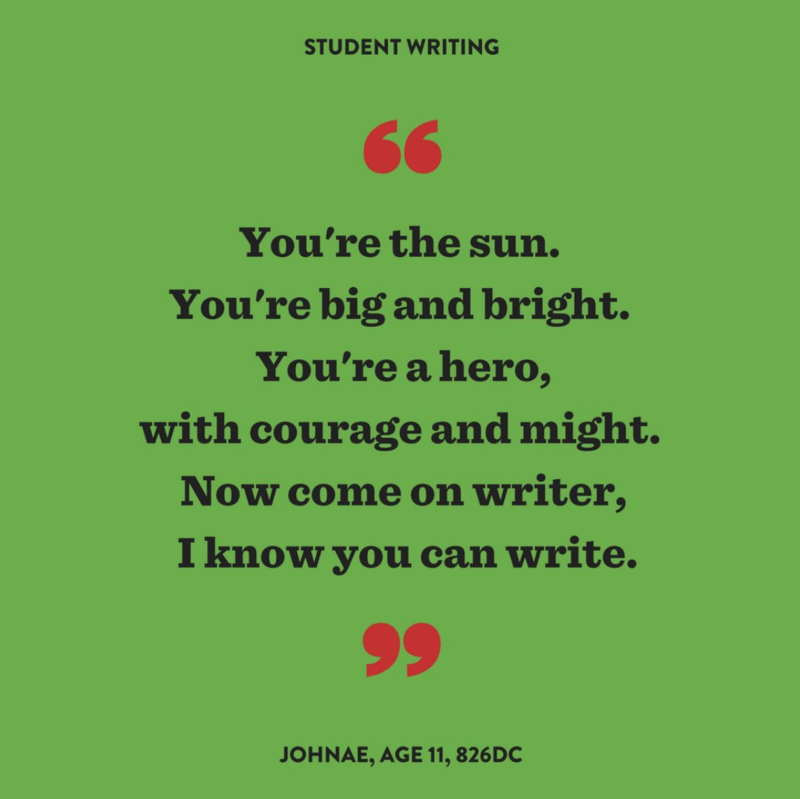 So while 826 National staff may not be working with students directly, reading through student writing — which I spent a good portion of my internship doing — makes every challenge worth it. 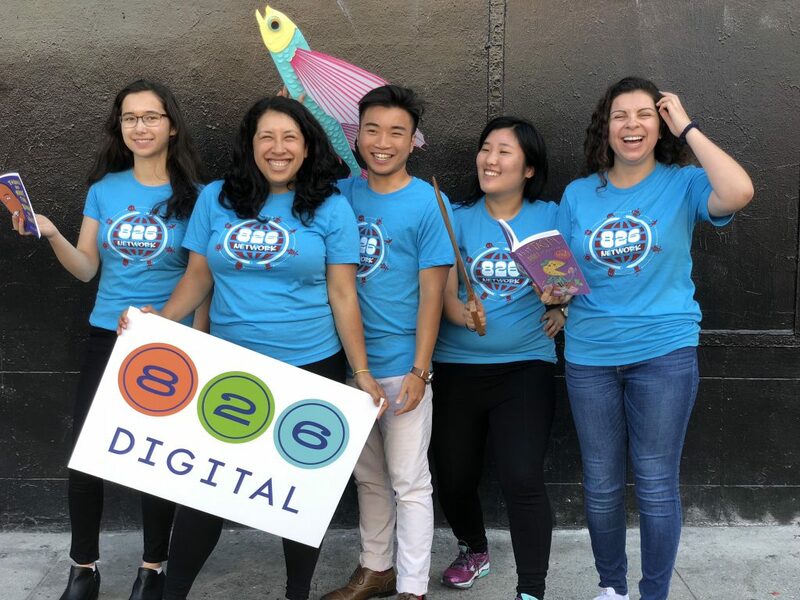 That’s my first piece of advice to others looking to intern with a nonprofit like 826 National: the work will be hard, so find what makes the challenge worth it, and surround yourself with that as often as possible. Get to know your fellow interns, too! My second piece of advice is to get to know the people you are working with, and to start doing so as early as possible. The wonderful thing about this kind of work is that people don’t end up in these positions unless they have a deep passion for the mission. 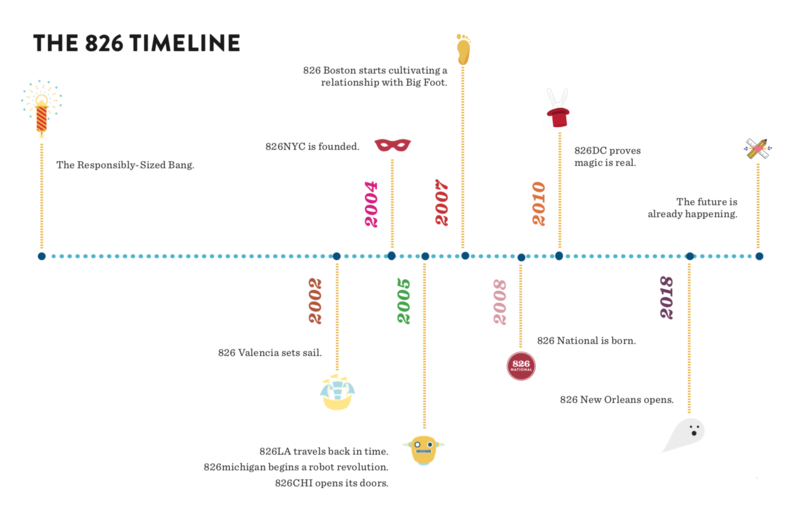 Every single person in my office had a different journey to their position at 826 National, but all of their paths reflect an incredible drive for social justice work. Building relationships with others in the office can give you some insight into the extensive number of jobs that exist in this world, but it’s also a great reminder that there isn’t one “right” way to build a meaningful career. There are a million potential paths, and college really only shows you a few. You’ll never know what might be out there unless you chat everybody up! Which brings me to my last piece of advice: ask all the questions! In addition to asking about others in your office, ask what more you can do. Seek out opportunities to make your impact, because the best ones won’t just fall in your lap. Ask how your organization supports itself financially. Ask what your supervisor’s dream is for the organization. Ask to learn about everything that seems interesting, even if it doesn’t directly relate to your intern position. Remember that even though you are there to provide a service, you are also there to learn everything you possibly can about the real working world in the short time you are there. Well, that’s my last post for the summer! Thank you to World of Work and the Hiatt Career Center for making this internship possible, and to 826 National for making this experience a dream. I am so grateful to have spent this summer learning under the 826 team. Interestingly enough, this past week, I was introduced, randomly, to Mitch Alborn’s “Tuesdays With Morrie”. Shortly after beginning to read the book (in an attempt of accomplishing one of my personal goals this summer to read more books), I realized that the book is a memoir of a former student and a professor at Brandeis University, several decades ago. The professor, Morrie Schwartz, who suffered from ALS disease and was, thus, terminally ill, would have weekly coversations with Mitch, his former mentee and student, and reflect on several aspects of life, giving Mitch all the advice he could from the perspective of someone who was at a crossroads between life and death. I mention this book because I feel as though it came unto my life, unexpectedly, at a coincidentally very reflective time. Over the past few weeks, I have definitely developed my ability to multitask and think quickly. When you are a part of an organization that tackles political and current events while offering a wide-range of services, everyday looks different and your workload can suddenly increase depending on the political and social climate of the week. As someone who plans to pursue very similar work, I plan to be equally as engaged in activism on current events in addition to the services I will offer, so I know that multi- tasking will be a crucial aspect of the work and managing time wisely. I also learned that, in the work place, it’s very difficult for me to sit for long periods of time at an office desk and remain productive. Taking walks definitely helps, and keeping myself hydrated through out the day is key for maintaining my energy. As I remember to take care of myself through it all, I’ve tried to learn how to set my limits, and not take on more than I can handle. My relationship with my coworkers is pretty great, and I’ve learned that this plays a big role in one’s work experience. Being able to easily communicate what your needs are and offer support to each other within the work place, makes hectic days a lot easier especially given that we are a small team. This work has also taught me the importance in diligence and accountability both on my end and everyone on the team. Here is a flyer I made for our third annual Decolonize Birth Conference that I was super proud of! Additionally, I feel as though I have also gained a much better understanding of the financial aspect of running a small business that offers free/ low- cost services. This understanding has come through my work with processing grant applications and the extensive work I have done on sponsorship/donation requests for our third annual Decolonize Birth Conference. I am grateful for this learning and experience. I am fully aware of the importance of this skill set especially given my career goal: to begin my own non-profit that offers reproductive health services and family planning resources to primarily LGBTQ+ people of color. Given my lack of experience in these administrative areas, I was nervous and unclear about how to develop and enhance these skill sets. Having the chance to jump right in through my internship has helped a lot. This summer, thus far, has allowed me to gain a clearer vision of what I want my future to look like in several aspects. 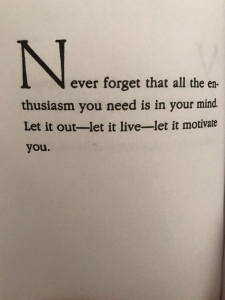 Morrie Schwartz’s anecdotes have been teaching me how to fully experience my fears and emotions so that I can detach myself from them and to prioritize love in every situation. My internship has brought me clarity, and taught me patience, finding a balance, and persistence. I am grateful for the experiences that have afforded me this knowledge. This week, I have been thinking a lot about how I define change and progress both personally and within the organization where I am working. In thinking about the goals of my organization–which are very much centered around social justice and health equity– it is always crucial to question where there are areas for continued growth and development, while also acknowledging the big and small strides and positive outcomes. This evaluation is key in assessing what could be the most effective steps to reach our goals as an organization. With the goal of making equitable maternal healthcare accessible to low-income families, as well as black and brown folks, Ancient Song Doula Services wears many hats as a community-based organization. It is important to note that this lack of access to healthcare, resources, food, and housing stems from a much larger root cause: anti-blackness. Because of this, reaching our goal as an organization is not solely about providing resources to our communities, but also involves taking action around the systems and institutions that first put these barriers in place. Given the immense nature of this multi-faceted goal, what one could consider an “immediate success” becomes difficult to measure, making endurance and consistency key in this work. At Ancient Song Doula Services, we are constantly multi-tasking, taking on different roles, planning for community outreach events and reaching out to other organizations for support and/or partnerships. We are always looking for different opportunities to spread the word and collaborate with other social justice collectives because it is crucial to identify the intersection of different movements, whether it be birth justice, food justice, or environmental justice. It can be very stressful–especially for a small organization–to take on such a wide range of tasks, but this is why we stress the importance of collaboration and solidarity. So, what does change or progress look like for me? Progress, I’ve learned, is very much rooted in and driven by coalition building and communal growth. 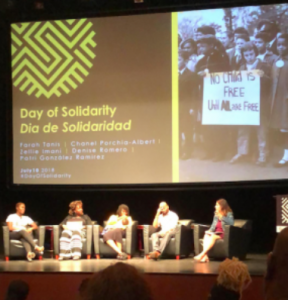 Recently, my supervisor was a panelist in an event called “A Day of Solidarity” held at the Schomburg Center for Research in Black Culture, where the panelists engaged in a conversation around the recent policies regarding the separation of immigrant families and discussing ways to take action. One of the main topics discussed was how crucial it is for communities to gather in support of each other, stand in solidarity as allies, engage in dialogue and, most importantly, listen to each other. 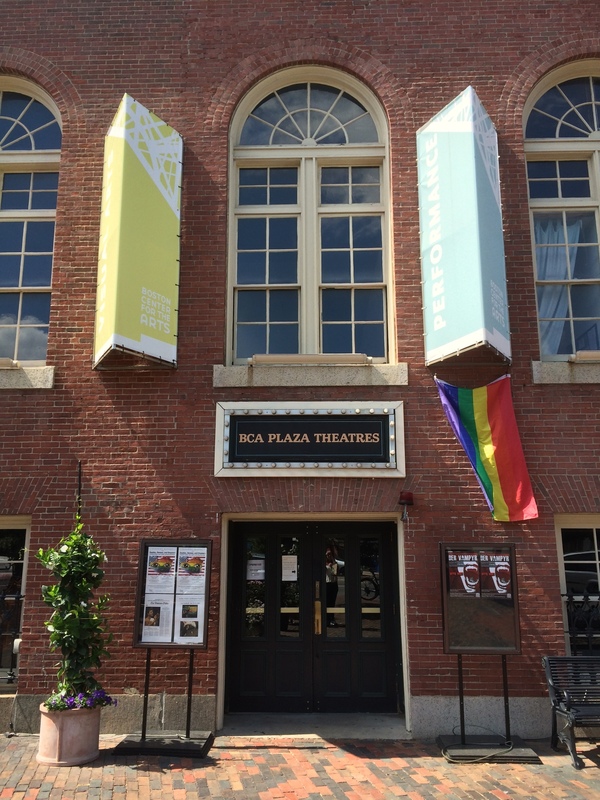 Listening and trusting one another gives marginalized identities agency over their own narrative and experience. 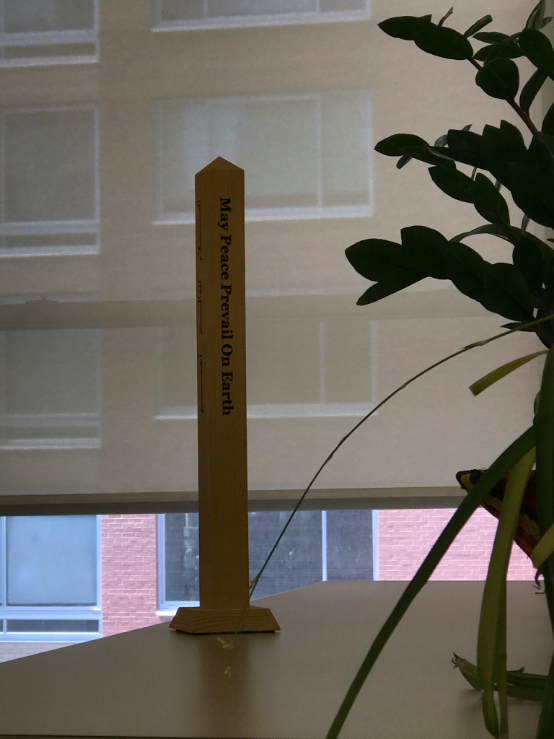 At Ancient Song, we often practice this is, as we not only hold events by and for the community in collaboration with other organizations, but also center our workspace around physical and mental wellness. In this way, I’ve learned that, as an organization, listening and building trust and community allow us to constantly assess and reassess the needs of the communities we serve so that we can continue to evaluate our methods for change and be that much closer to reaching our goals. There is power in unification, as it is crucial not only for the healing of marginalized identities, but also, in standing firmly against or for a movement and demanding action. This is progress. The past month at DOMUS and Trailblazer’s Academy has truly been a special experience. Through the various meetings and school events that I became a part of, I was able to get to know some of the students on a personal level, as well as get a better appreciation and understanding of what family advocates do on a typical day. Additionally, I was able to input and analyze data related to student attendance and experience. To see these students everyday come in with a smile on their face, knowing the obstacles that they have had to face or currently overcoming, is remarkable. While continuing my work with the DOMUS Foundation, I have been able to see and work with various emotional support resources for the students, including the school psychologist. 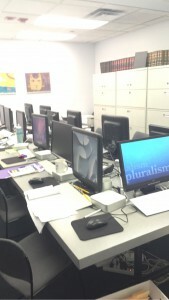 While working with the school psychologist who works with both of DOMUS’ charter schools, I was able to see the types of cognitive and executive functioning tests that are done for students who have individualized educational plans (IEP’s), as well as the reports that are created to determine what specific resources each child needs depending on the given IEP. 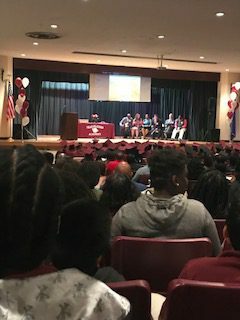 From this information, along with the behavioral reports, grades, and attendance records, families were contacted to suggest summer school for their students to ensure that they don’t fall behind or lose momentum in the progress that they have made this previous academic year. The family advocates also are making sure that their students have the proper resources during the summer. Every academic year, a certain amount of home visits have to be made for each student by their family advocate. During the summer, the family advocates take advantage of their time without students to schedule home visits with families. Before this is done, attendance reports, as well as home visit reports must be inputted and reviewed to see which students should be prioritized. Over the past few weeks, I have been helping with creating and mailing these types of documents for the school psychologist and family advocates, as well as being trained to go on these home visits with a family advocate. Working with DOMUS has made me realize how vital social work is as profession as well as the impact it can make on a student’s life. I was recently able to help a family advocate with finding a scholarship for three young boys to attend camp for part of the summer. I spent hours calling and emailing camps to see if there were any openings for these kids. When I was finally able to find a camp that would give a scholarship and had openings for the boys. It was a relief to the family, the family advocate and to me that we were able to enroll the kids in camp. These boys are able to meet kids their age and to start their adjustment with their new guardians in a new living area. Helping connect students and families to resources such as summer camps or summer schools for the Trailblazer’s Academy students, as well as other youth is another rewarding and crucial role of a family advocate through the DOMUS Foundation. All the work 826 National does serves to support the regional chapters in the work that they do. Together, the 826 network can best achieve their social justice mission: to work toward more equitable education opportunities for all students, regardless of circumstance. At the national level where I am interning, progress is focused in two areas: growth of existing chapters and development of new chapters. Growth: For chapters that are well-established, 826 National is constantly collaborating with them to improve and enhance the great work that is already being done. Sometimes, that can be as simple as facilitating monthly department check-ins across chapters so that everyone working in a similar capacity can touch base about what is working and what they might need ideas about. Sometimes, progress involves facilitating exciting partnerships with companies like Cartoon Network! Recently, 826 National and Cartoon Network collaborated to launch the Inclusion Storytelling Project, which encourages youth to share stories about kindness and empathy in an effort to work toward a bully-free world. Each 826 chapter is taking part, adding their own local twist. Third grader Aakhirah suggests beignets receive their own monument! 826 New Orleans, for example, linked the project to Confederate monuments that were removed from the city at the end of 2017. 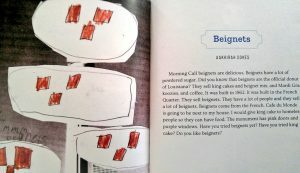 Third graders at a local school wrote a book filled with their own suggestions about what should replace those monuments, which was published by 826 National. Buzzfeed recently picked up on it, after some of the images from the book when viral on Twitter! 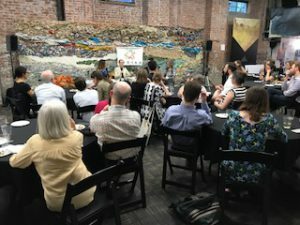 Development: Speaking of 826 New Orleans, another way that 826 National works toward progress is by working with groups looking to establish their own 826 chapter. Until recently, 826 New Orleans was actually a chapter in development, which involves a process that can take up to two years. 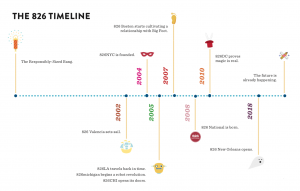 Sites apply for the chapter development process and, if selected, undergo a series of phases to create an organization that matches the 826 model. Once they become a full-fledged chapter, they have access to all the resources that the national office has to offer. Though it can be a time-consuming process, all of the steps involved lead up to a new regional site, which enables us to vastly increase the number of students we reach each year! In order for the 826 National office to adequately support its chapters, we need to be sure that we are operating in the most efficient, effective way. This means that we are also doing work internally to make changes that aid our ultimate mission. In the short time I have been at the office, staff have come together several times to talk about ways they can improve their own work. These conversations involve both self-reflection and feedback from chapters about how the national office can better support them. I admire 826 National’s strong commitment to being the best version of itself, and I am learning a ton about how to use effective reflection practices for actual change. It’s a skill that I can take with me to my future workplaces–to ensure that my work is always aligned with the mission. Its been another busy week at Ancient Song and we’ve made many great strides. Last week, Ancient Song’s founder and executive director, Chanel Porchia-Albert, testified at a City Council hearing at City Hall. Chanel Porchia-Albert advocated for bills on reporting on maternal mortality, assessing the need for doulas for folks who are pregnant, and evaluating how available low-cost to free doula services are (a testimony that I was super excited to have co-written!). During this testimony, Chanel described the valuable and important work of Ancient Song in providing doula services and accessible maternal care to marginalized communities, highlighted the trauma and oppression within the history of black and brown people in medicine and health care, and emphasized the importance of community-based and culturally relevant doulas and birth workers to be experts and key sources in addressing the racial disparities in maternal health. The testimony was particularly impactful because it gave Ancient Song the opportunity to speak on a matter that Ancient Song has been tackling for over ten years, but has only just recently gained the attention of the council members of New York City. 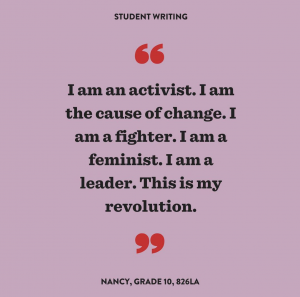 It made me think of a concept I was introduced to in a previous course I took at Brandeis with Professor Aliyyah Abdur-Rahman called Black Feminist Thought. One of the many concepts she introduced to me was the standpoint theory. First described by Patricia Hill Collins, the theory acknowledges the knowledge that stems from social positions and the importance of theorizing from “below” (in terms of class, nation, sexuality, political need). It highlights the fact that often seemingly objective or “scientific” accounts of something may ignore the perspective and experiences of marginalized identities. This is why we must prioritize the perspective of the most marginalized identities to inform the objective. This connects back to why we think it is crucial to have community-based and culturally relevant birth workers at the forefront of the movement towards birth equity. It also drives much of current community-based workers’ concerns in NYS Governor Cuomo’s proposed Doula Pilot Program. How is the government going to effectively address racial disparities in maternal health without having a holistic understanding of the needs of those most affected? 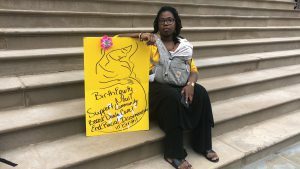 Before the hearing began, Ancient Song held a rally for birth equity in front of City Hall where birth workers, reproductive justice advocates, and members of the community attended and spoke on their experiences. This reminded me of the importance of making this information as accessible to the communities most affected as possible. A lot of folks from these communities are not aware that these hearings are taking place and how much of a difference their voices can make. This is why the work we are doing around community outreach is crucial to achieving birth equity. Thank you all for reading, I can’t wait to update you all again next week! As an Education Studies major, so much of what I learn in my classes is reflected in the work 826 National does. 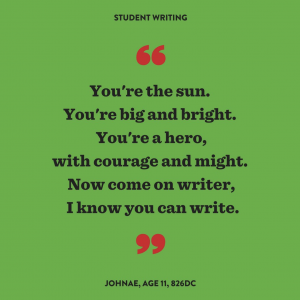 Education inequality takes many forms, and 826 National has taken a writing-centered approach to improving overall education outcomes for their students. The Ed Studies department loves to talk about “gaps”. 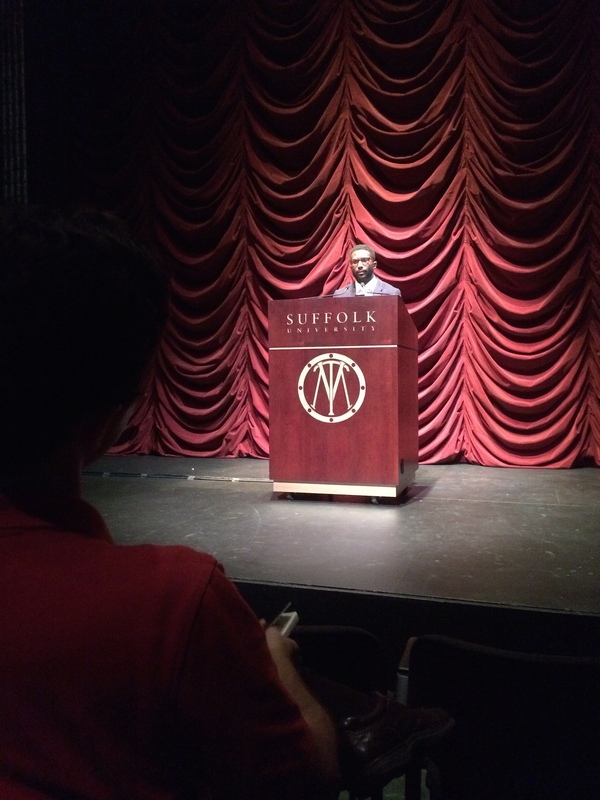 In particular, we frequently discuss both the achievement gap and the opportunity gap. At their core, these terms refer to the ways inequality and inequity manifest themselves in our education systems. The achievement gap refers to the unequal distribution of educational results — test scores, general grades, ultimate level of education — between groups. The opportunity gap is the inequitable distribution of resources and opportunities — access to experienced teachers, rigorous coursework, safe environments — that create the achievement gap. From a social justice perspective, these inequities in education serve as the foundation for so many other social injustices, from the effects of the school-to-prison-pipeline to cycles of poverty. There is much debate about the best ways to approach closing these gaps, but I’m going to focus on the strategies 826 National has incorporated into their work. 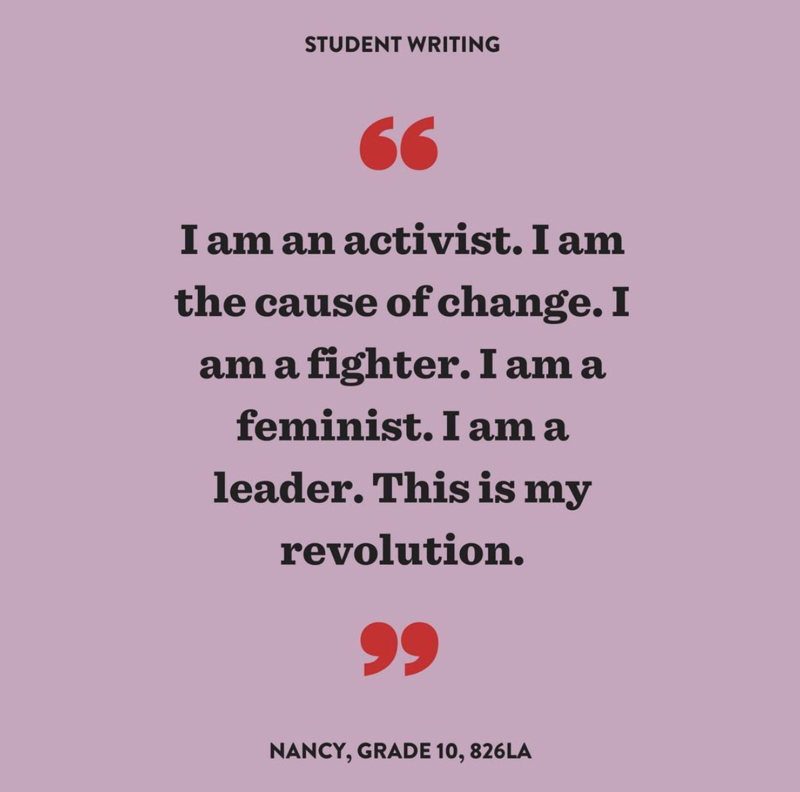 As a primarily writing-centered program, they focus on creating curriculum that is challenging AND engaging for students who often do not see themselves or their cultures reflected in traditionally white, eurocentric lesson plans. When educational opportunities are actually engaging students, the learning comes far more naturally. One of the many inequities facing students actually happens outside the classroom. 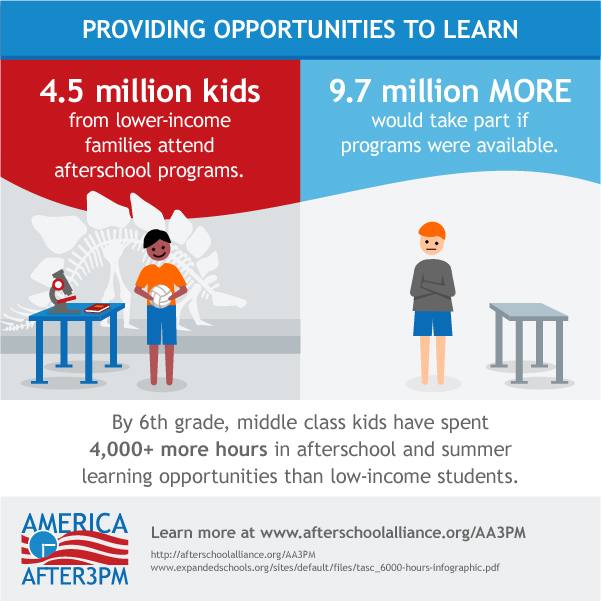 After school opportunities like extracurriculars and tutoring are typically only available for those who can afford them. This after school time is important for long-term in-school achievement, and many kids are pushed out of school because there is simply no safe, engaging space for them after school closes. For this reason, 826 programming is free. Free access to fun, safe, research-based tutoring and workshops for students in underserved communities helps ensure that these young people are not left behind as more affluent students head to their private tutoring sessions. Additionally, research shows that individualized student attention enhances student outcomes. In the media, we hear about this as the need for smaller class sizes. And while low student-teacher ratios is a goal we should certainly be working toward, 826 National recognizes that right now this is not possible, especially in urban school settings (where it is arguably needed the most). Instead, 826 chapters commit to low student-volunteer ratios in their after school programs and workshops. Even if a student is one of thirty-five in the classroom all day, at their local 826 center they work with a volunteer in groups of one or two students per volunteer. This individualized attention in the afternoon re-engages a student in their work and gives them the time and resources they need to succeed in school. Access to resources, individualized attention and help, and the right to explore one’s creativity are the cornerstones of success for 826 National’s students. Understanding these principles is essential for the work I do at the National office. My tasks involve working with the local chapters to provide the support and the resources they need to adequately engage students. So while I am not working directly with these students myself, I would not be able to properly work with other chapters without an understanding of the educational barriers that our students face nationwide. My name is Marleny and I am a rising junior and STEM Posse Scholar at Brandeis University. This summer I am an intern and co-coordinator at Ancient Song Doula Services, a Brooklyn, NY-based and low-cost doula service. As a reproductive justice organization, our goal is to serve families of color and low-income families who do not have access to doula care. Through a collective of several services and resources for parents of color and low- income families, we ultimately aim to bridge racial disparities in maternal health by addressing racial and implicit bias. In New York City, the maternal mortality rate, for example, is 12 times greater for Black women than for white women. Given that systematic oppression is a social determinant of the high Black infant and maternal mortality rate, shifting tasks and responsibilities down the hierarchy of the healthcare system are both necessary and ideal for the survival of marginalized communities. For these reasons, the most crucial aspect to birth equity is free and low-cost doulas services such as Ancient Song Doula Services. Given that there have been recent opportunities for reform within maternal health as New York’s governor Andrew Cuomo proposes a state doula pilot program that includes Medicaid reimbursement as well as a Maternal Mortality and Morbidity Review Committee, Ancient Song also centers their work around political reform and advocacy for the marginalized communities it serves. Prioritizing the reimbursement of community-based and culturally-relevant doula services through Medicaid is key to bridging racial disparities in maternal health, so we have been gearing most of our attention towards this lately. 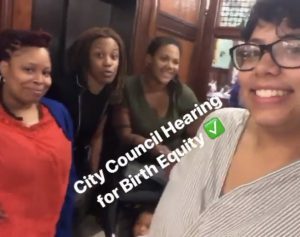 A lot of my responsibilities, as of now, include community outreach, writing testimonies to present to the city council, planning events to gain momentum for our #ourtimeisnow campaign for birth equity, and creating promotional material to share with the community and with other local and national organizations. 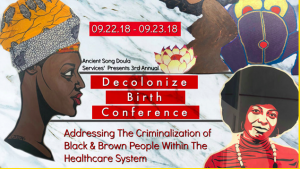 Additionally, while we continue advocacy at such a crucial time, I am responsible for coordinating our third annual Decolonizing Birth conference called “Decolonizing Birth: Addressing The Criminalization of Black and Brown People within the Healthcare System,” which is being held September 22-23. This involves looking for sponsors, keynote speakers, and reviewing proposals for prospective workshops. My internship requires a high level of responsibility and I am really enjoying my time at Ancient Song for the second year. The work I am doing is super important and falls in line with my career goals. By the end of the summer, I hope to have improved my ability to manage my day to day tasks and become more familiar with the policies that have been and will be put in place to address the disparities in maternal health. I am looking forward to sharing my journey at Ancient Song with you all this summer and I am looking forward to what is to come! I can’t believe how the time is flying this summer at the gallery! My impression of the gallery remains complete awe and admiration. Fred, the owner, and Katie and Adam, run an incredibly personable gallery that is truly there for the artists. Yes, it is a commercial art gallery and they make a profit, but the artists come in daily just to chat and catch up, or ask for advice of help of any kind, and they are always welcomed with open arms. 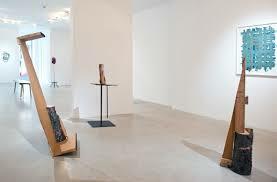 It is a truly wonderful place, and the kind of gallery that I hope to own one day. I have to say, the most surprising thing about this internship, was really just how much one needs an internship to truly learn. 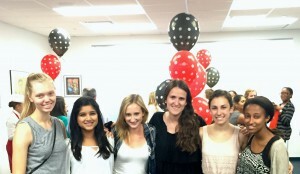 I absolutely love my time at Brandeis more than anything and I wish I could stay there forever! But, I have learned so much in this internship that I could never have learned in school. It is, in some ways, a very physical, hands on job. Since my last post, I finished pulling and labeling all the pieces from the back, which is no easy task because paintings can be really huge and you are on a ladder and identifying paintings based on brush stroke and common themes, much like an art history test actually, so I thoroughly enjoyed that. We had new shipments of paintings come in and documented them, there was an install and a de-install where I bonded with a few of the artists that I deeply respect such as Elena Herzog who is so incredibly talented. I learned how to wrap and ship paintings, the proper ways to handle different kinds of art, and completely mastered the system in which we inventory our work, and update the website, which is the same software used by most galleries and museums nationwide! While this might seam like a rather banal skill-set when it’s phrased like “how to wrap and ship a painting”, let me just tell you how many layers and how important it is to get them right. Little things like, if the bubbles of the bubble-wrap (which is the third layer) face inwards on the first layer of bubble wrap, they could indent the surface and you could end up with faint circular indents all over the surface of the painting. So, you must wrap bubble out, then bubble in. 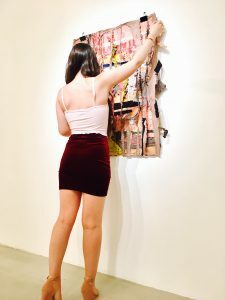 There are also very specific instructions for hanging, and the various power tools involved, and heights, and aesthetic choices made in hanging shows that I will carry with me for the rest of my career. All of these skills are SO incredibly important when entering the gallery or museum world post-graduation, which is closer for me than I would like to admit, and I can now put all of these on a resume, skills that I did not even know I needed to possess! I’ve also realized that my courses at Brandeis prepared me for this internship. Had I not taken and thrived in all of the art history courses I have taken at Brandeis, identifying the artist who made the unlabeled paintings in storage would have been nearly impossible. I truly have so much to be thankful to Brandeis for. It has now been a month since I started working for Avodah and I am already thinking ahead about the ways in which I could help their cause even when I am done with the internship. 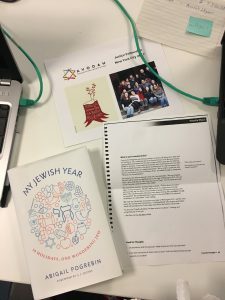 I have already contacted friends and colleagues to let them know them about the Jewish Service Corps, which is a project unique in its scope and mission, as I have learned by working closely with Avodah’s alumni programming team. The first aspect of the Service Corps that distinguishes it from most social justice and youth activism opportunities is the fact that it allows members the freedom to design their own path. Whether they are interested in offering legal assistance to immigrants or volunteering in the healthcare system, Avodah provides them with a wide range of placements, i.e. partner organizations for which they will work for the duration of the year. 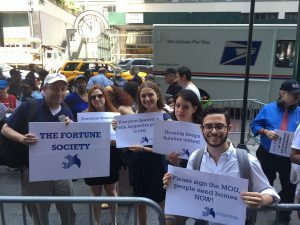 Poverty alleviation is the nucleus of the organization, but the Jewish Service Corps recognizes that the roots and effects of this phenomenon run too wide and deep to be tackled unilaterally. 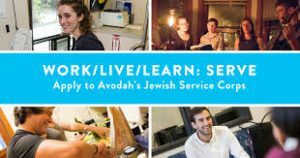 The many ways in which Avodah’s undertaking can be addressed is reflected in the plethora of directions in which Corps Members can branch out. This serves another key goal of the program, namely encouraging leadership among young people who want to be active members their communities. The Jewish Service Corps lets its participants choose their own journeys, while making sure they are not alone. I think this is where the essence of the work, mission, and organizational culture in a nonprofit like Avodah truly lies. The Corps members become part of a cohort of like-minded young people, activists, volunteers, employees, and most importantly alumni of almost twenty years of programming. This is how the organization manages to impact more than just the current group of activists it trains. “Igniting social change”, the second part of Avodah’s motto, refers to this ‘family’ that bridges generational, geographic, social, and economic gaps. It refers to connecting a surgeon who enrolled as a healthcare enthusiast in the Service Corps fifteen years ago to a recent college graduate interested in refugees’ rights. Through this network, Community engagement, which is Avodah’s latest area of projects, ultimately amounts to community building. Jacksonville, North Carolina is home to more country music stations than all other radio stations combined, has the best fast food chain in the world, Waffle House, and is also known for its most beloved non-profit, Possumwood Acres. The two months that I spent there were filled with a million new experiences–I tasted grits for the first time, learned how to determine if a bird is dehydrated/emaciated, and saw a wild horse colony on an island. 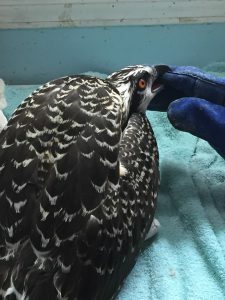 Now that my experience is quickly coming to a close I can say that I was really lucky to be exposed to the inner workings of a non-profit, the techniques necessary to take care of injured wildlife, and the “southern mentality.” It’s amazing what one person can do when they set their mind to it. Or when they get an unpaid internship and want to get as much out of the experience as they can. Either way you can’t go wrong. Having completed a whopping 245 hours at Possumwood Acres, I am really proud to say that I learned beyond what I initially anticipated. I met all of the requirements for the “General Checklist” and went on to begin to complete the “Advanced Intern Checklist,” a fact of which I am very proud of. 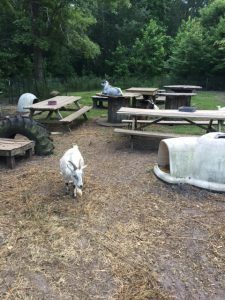 I am extremely satisfied with the experience I got interning at Possumwood Acres, and I can most certainly say that it helped me determine what I want to do with my future. Although I very much enjoyed my involvement in animal care (despite the stress associated with the job), I can honestly say that though I will not be continuing this specific avenue for a career, I am definitely invested in continuing my path in the environmental field. This internship has solidified my interest in protecting the environment in the many forms that that may come in. 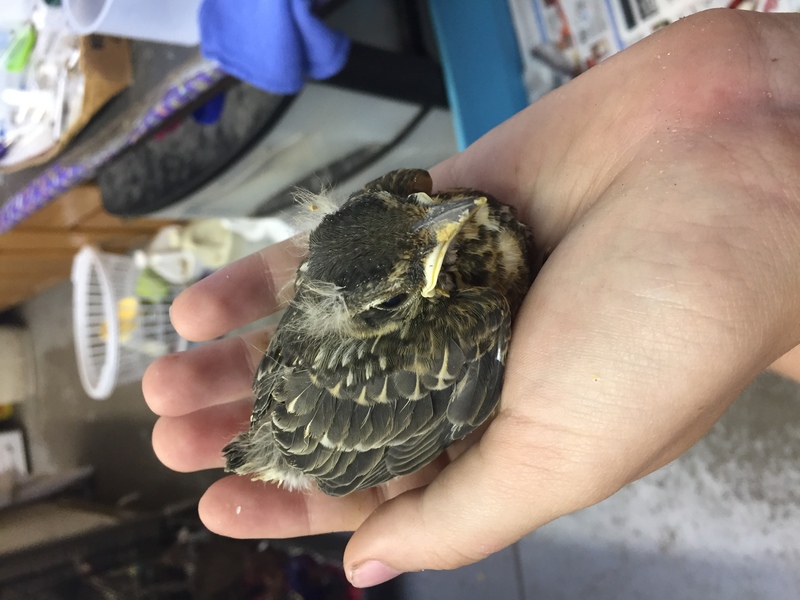 From this experience I learned that I am even more passionate about animals than I originally anticipated and that I am capable of learning a great deal in a short period of time. For anyone interested in getting an internship, I would apply as early as possible. I managed to get this internship in early November. The earlier you start looking for internships, the more likely it is that you’ll actually get one. Employers will also be more likely to hire you for the job because the application pool is much smaller in early November and December. I would also try to narrow down your search to a specific type of internship, so you aren’t wasting your time applying for a position that you aren’t interested in. I knew that I absolutely wanted to work with animals so I bypassed anything that seemed like a glorified office worker position. I think I am most proud of myself for doing something that was outside of my comfort zone because although I knew that the work would be tough, grueling, and hard at times, I also knew it would be extremely satisfying. I have now been working for Avodah for three weeks, but I feel like I have been part of this environment for much longer. The main reason is that the entire staff and interns make it their mission to promote the same values and foster the same atmosphere in the workplace as in their social justice projects. 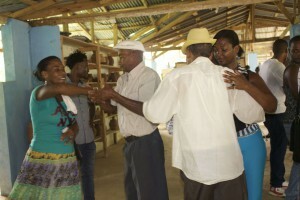 Since both the Service Corps and the Fellowship–the two main programs run by the nonprofit–rely on networking and community building, it seems only natural that the organization will uphold the same level of cooperation internally. However, I did not expect it to be so embedded in their daily administrative and management tasks. I have participated in two staff meetings so far, and they both have been relevant examples of this organizational culture. The staff members leading both of them started by introducing a topic only tangentially related to the ensuing discussion. 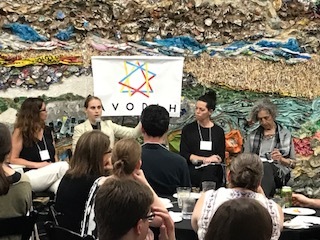 For instance, the first time I was in a meeting, Avodah’s president Cheryl Cook started a talk about homes and homelands, roots and belonging, to then transition into a wider debate about Avodah’s mission and values as a community builder. 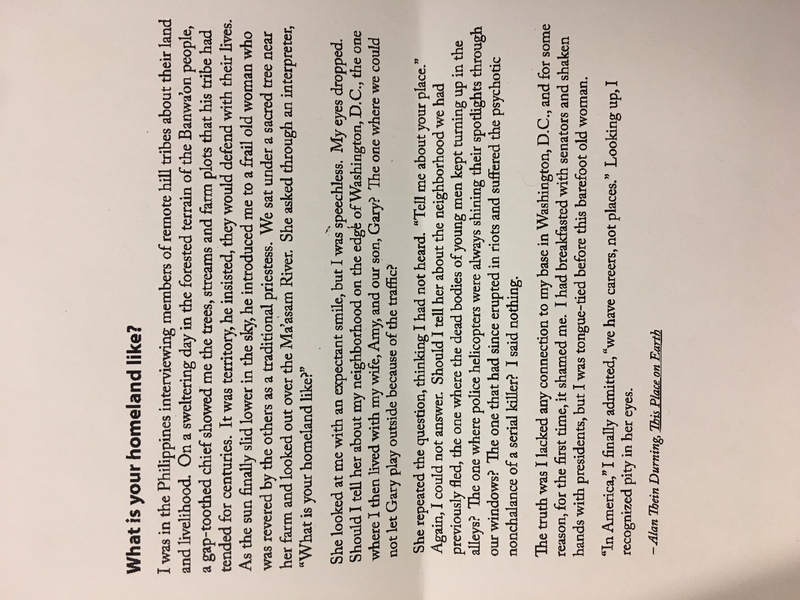 We went around the table (which included colleagues connecting to our office in New York from Chicago, D.C., and New Orleans) and we each talked about our home – if we had one, where it is, what is is, and with whom – after having read the following piece. Besides the work I have been doing for Avodah on the administrative side, which included learning how to use Salesforce, transferring survey results from one platform to another, and compiling reports about donor involvement and alumni, I believe that this is the most important skill I hope to gain from my experience. I would summarize it as an intersection of being dedicated and genuine. It is often the case that the internal administration of nonprofits is very much separated from their actual social justice mission, which I think affects both how employees relate to their work and how the organization is run. 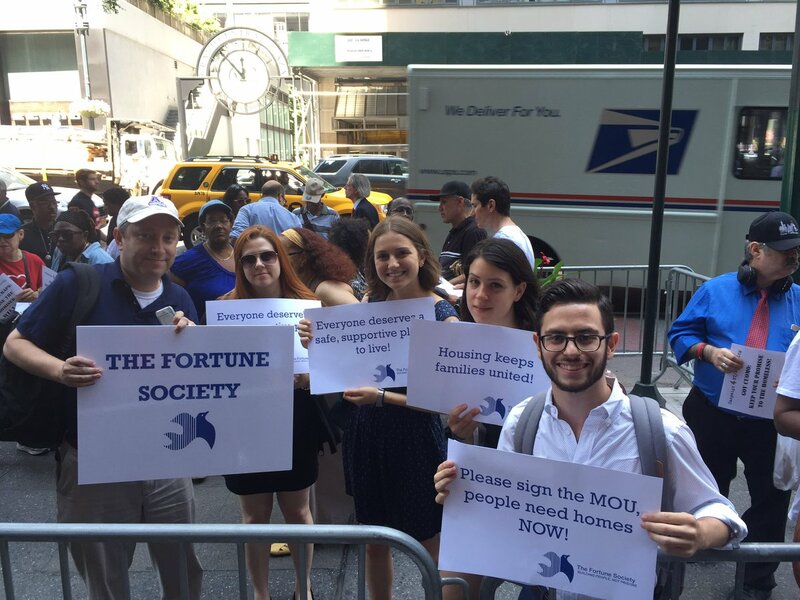 With business and profit-driven models populating more and more of the activist environment, I think it is important for organizations like Avodah to maintain such a standard of involvement and commitment to their mission and culture. 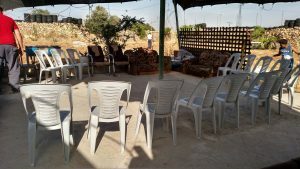 Even if I am helping with the organization of our upcoming events or doing prospect research for potential donors, I am aware that the poverty alleviation mission of Avodah on the field is “at home” in our office. 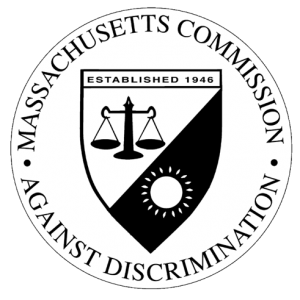 “Why don’t you tell me why you are here?” This is the question I ask each person as they sit down in the intake room at the Massachusetts Commission Against Discrimination (MCAD). As a neutral organization, the role of the commission is to investigate claims of discrimination and if need be, transfer them to a higher court for judgment. For the past three weeks, I have been observing and training to be an Intake Specialist. As an Intake Specialist, my role is to interview each individual who enters our doors and determine if they have a legal basis for a discrimination claim. My most significant role as an Intake Specialist is to write up the formal legal complaint that becomes the basis upon which the Commission investigates each case. This requires strong interpersonal skills and an ability to concisely convey the alleged injustices of each individual. This past week have finally been cleared to begin conducting the interviews on my own. What at first seemed like a daunting and somewhat scary task, has become the best part of my days. With each intake I conduct I gain more confidence and realize the extent to which I am truly making a difference in each interviewee’s life. Whether we take their claim or not, I provide a sympathetic and unbiased ear for them to express their anger, sadness and frustration. Each intake I conduct is extremely different. The Commission has jurisdiction over education, housing and public accommodation cases. Therefore, each case I receive is unique and requires deep analysis and attention. It is safe to say that I am never bored at my job! A typical intake last about 2 hours, as it is my job to ensure that I receive all pertinent facts of the case. While the work is emotionally taxing, the relief I am able to provide is extremely rewarding. While I was expecting to learn about law and the ins and outs of government work, as an Intake Specialist I have become proficient at the important skill of successful customer service. When I am not conducting intakes, I have been assigned certain cases to investigate. This is a tremendous responsibility and a unique opportunity to get first-hand experience working directly with other attorneys. My overall goals for the summer are to become a proficient Intake Specialist, as well as learn as much as I can about law and advocacy. As a triple major in English Lit, Anthropology and Women, Gender and Sexuality Studies, I have always been unsure of my career track, as I have many paths to choose from. These past few weeks at MCAD has focused my interests and influenced me to consider a career in law and advocacy. Working alongside law students and attorneys, and viewing their passion and commitment to eradicate discrimination has been an extremely inspiring and eye-opening experience. As the summer progresses, I am looking forward to taking on more responsibility at the Commission and continuing to contribute to their social justice fight against discrimination. Through a combination of hands-on learning and educational training sessions and lectures, I am confident that I will leave this internship with an abundance of new knowledge and skills that I can add to my educational toolbox. Learn more about MCAD their mission and history. This summer I am very excited to intern at Encyclopedia of Life’s Learning and Education Department in Cambridge, Massachusetts. EOL encourages discovering biodiversity on Earth and their mission is to generate an encyclopedia of all the living species on Earth. One of the great things about EOL is that it is an open platform that can be used by anyone. I enjoy looking up my favorite plants and animals on the EOL website and finding out some pretty cool facts and figures. The Learning and Education Department utilizes a lot of this data to develop tools and applications that support educators, citizen scientists, and students when using EOL. 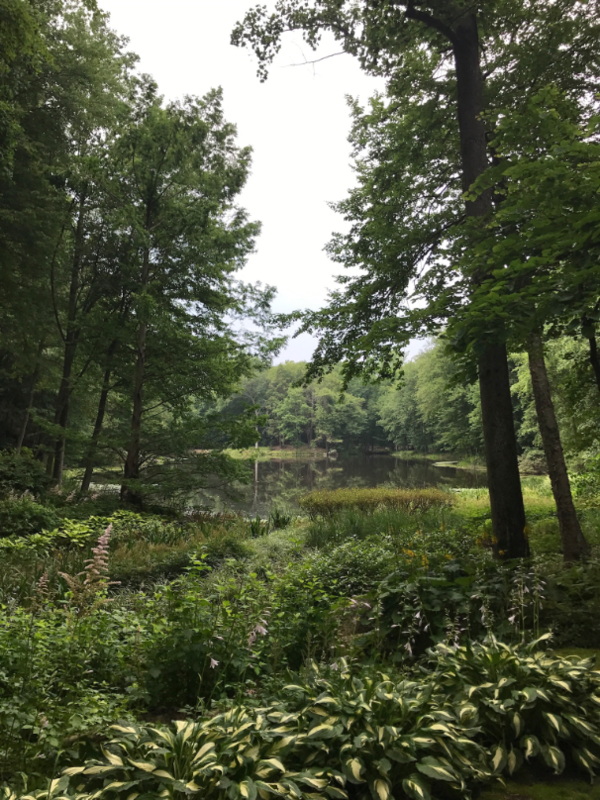 For my internship, I am working on the City Nature Challenge for the Boston area, which is an annual competition between cities across the nation and around the world to find the most biodiversity in their area. 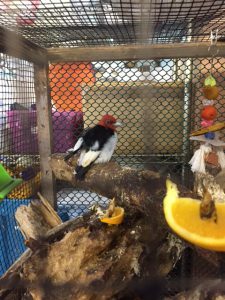 This is a great way to get people outside and engaged in science as well as increase data on the different species. Last year was the first year Boston was involved and we observed over 740 different species over a period of 5 days! I am looking forward to seeing Boston as a top runner in next year’s challenge. Open science and citizen science, both large aspect of EOL, are great ways to engage the public in science projects through data collection, education, and advocacy. I am interested in it because it has so much potential to raise awareness and educate people about environmental issues facing us today such as climate change and loss of biodiversity. By participating in projects, people can get hands on experiences that relate to these issues and the data collected can be used for scientific research or even impact governmental policy. 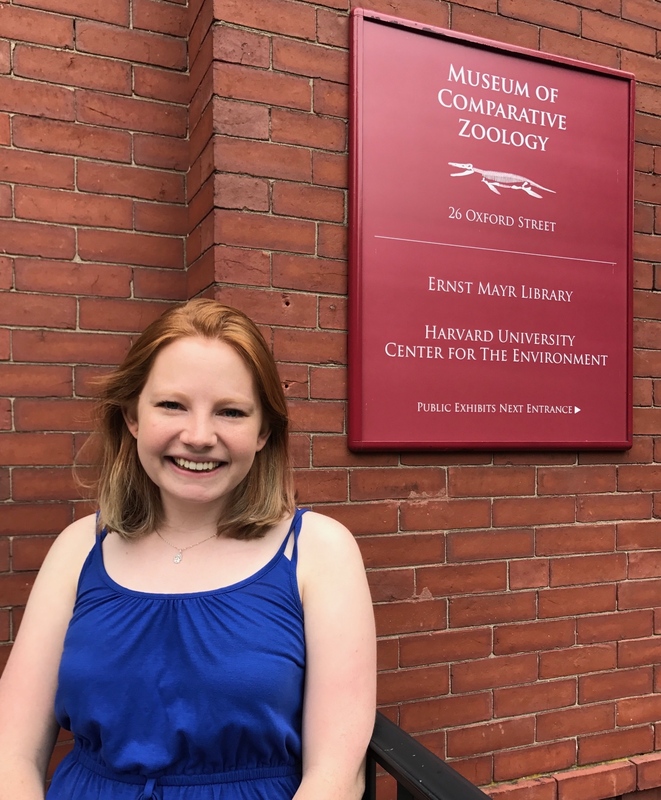 My first day at my internship, I walked through Harvard Yard to get to the Museum of Comparative Zoology where EOL is located, and a huge turtle shell welcomed me into the building. Right away, I got into what I will be working on for the next couple of months and got familiar with EOL. Throughout the summer I will be reaching out to engage naturalists, educators, and environmental enthusiasts in EOL as well as map out the 2018 challenge for the Boston area. So far, I have contacted and met with a number of great organizations in the Boston area that work together to engage the public in science. My goal for the summer is to develop and implement recruitment efforts for the 2018 challenge and help strategize ways to get EOL materials out on a national level. EOL’s goal is to have materials used by educators and students all throughout America during the city nature challenge as well as part of other community engagement efforts. Overall, I am very excited to see how the summer develops and what I am able to accomplish. No matter what time of day, concerned citizens holding small, injured mammals make their way to our doorstep at Possumwood Acres Wildlife Sanctuary. 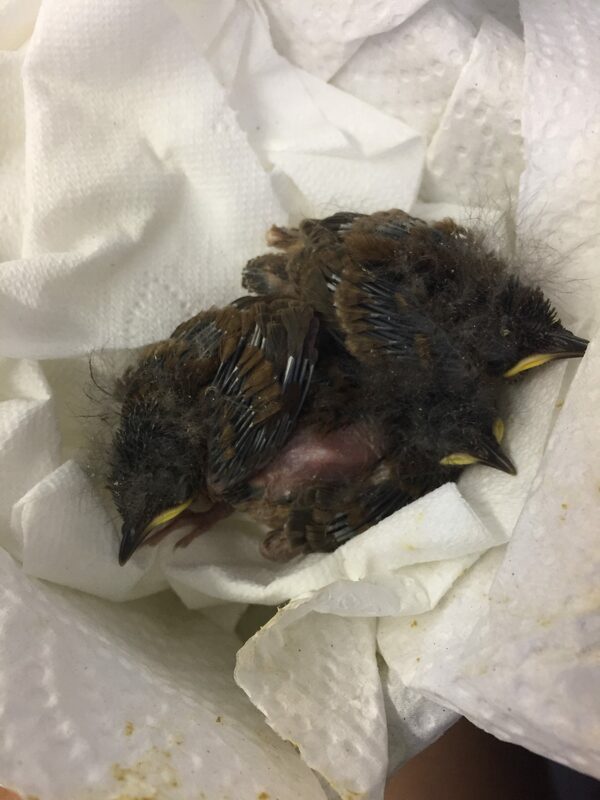 The admissions are non-stop this time of the year, and the circumstances surrounding the entry oftentimes tragic: a bunny that was run over by a car; baby birds that fell from their nest; a juvenile pigeon that suffered a dog attack. Or even more concerning yet, a pet owner who became “bored” with their animal and doesn’t know what to do with their pet. Though I am frequently face-to-face with animals that are in dire need of care, I’ve come to a wonderful conclusion about human nature. Humans have an amazing capacity to take action when it comes to the welfare of others, especially animals. 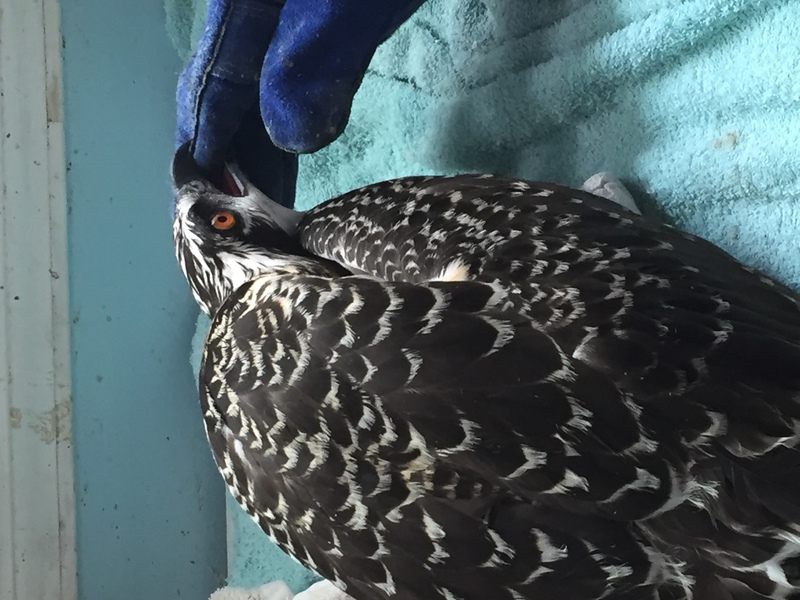 No matter how serious the case, or unlikely the recovery, we get animals that thereafter have a fighting chance. Now that’s something to be proud of. It also proves how necessary our services are to the public, and how our founder, Toni O’Neil, really did fill a need in the community when she founded the non-profit. 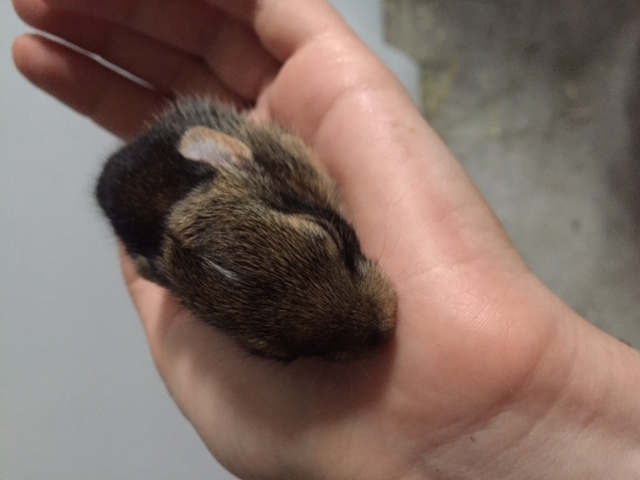 A baby bunny with its eyes still closed after a syringe feeding. 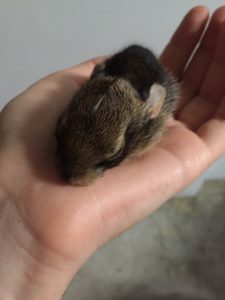 Having interned for a whopping four weeks at Possumwood Acres, I’ve gained a great many new skills: how to feed baby bunnies, why we “piddle” them once they’ve eaten, how to weigh Barred owls, how to tube feed pigeons and mourning doves, and the many reasons why we administer certain medications, as well as how to administer them. I’ve also become acquainted with a good number of interns and volunteers, and I’m always amazed at their know-how and desire to provide the best care. 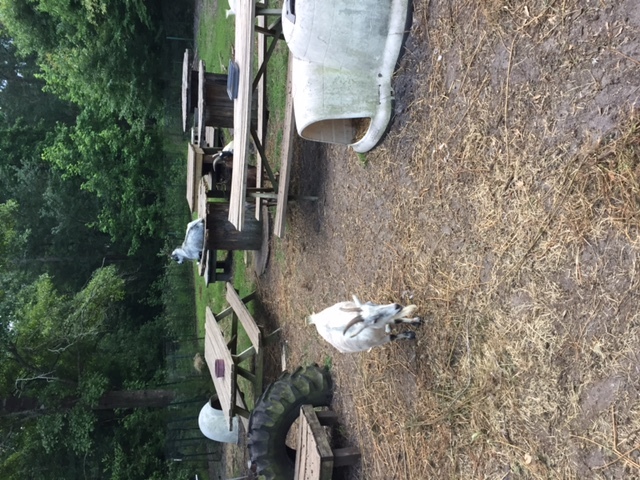 Goats “maxing and relaxing” despite the overwhelming heat of summer in North Carolina. Although it can be rather stressful in the animal care room as we struggle to make deadlines and provide good quality care, making sure to feed, clean, or administer medications to animals, there’s nothing better than the feeling of accomplishment. I’ve come a long way in four weeks—no longer am I constantly asking questions about how to do something or where things are located. I’ve never felt that kind of satisfaction from taking exams or attending classes. If I’ve already come this far, I absolutely cannot wait to see where the pieces will fall at the end of this internship. The confidence and authority that wafts off the more experienced interns is inspiring; only a few weeks ago they were in the process of learning the ins-and-outs of the job. Now they know exactly what to do when someone admits an injured, juvenile mockingbird, or what medication to give an adult bunny that appears to have suffered brain damage. Now that’s something that I can aspire to. Having just studied abroad in Australia, I assumed that I wouldn’t see the interior of an airplane for a long while. Traveling back took approximately 24 hours, including layover time, so I grew weary of flying and the stress associated with traveling and jet lag. I couldn’t have been more wrong; only two weeks after making the trip back home, I found myself separated from my hometown once again. The location this time: Jacksonville, North Carolina. Little did I know before coming that the U.S. Marines are stationed in Jacksonville, NC. Nor did I realize that the only reason this town exists is because of the Marines. I found myself going in and out of the military base, and every person I met was somehow involved in the Marines; either they were married to a Marine, had a family member in the Marines, or were themselves in the Marines. 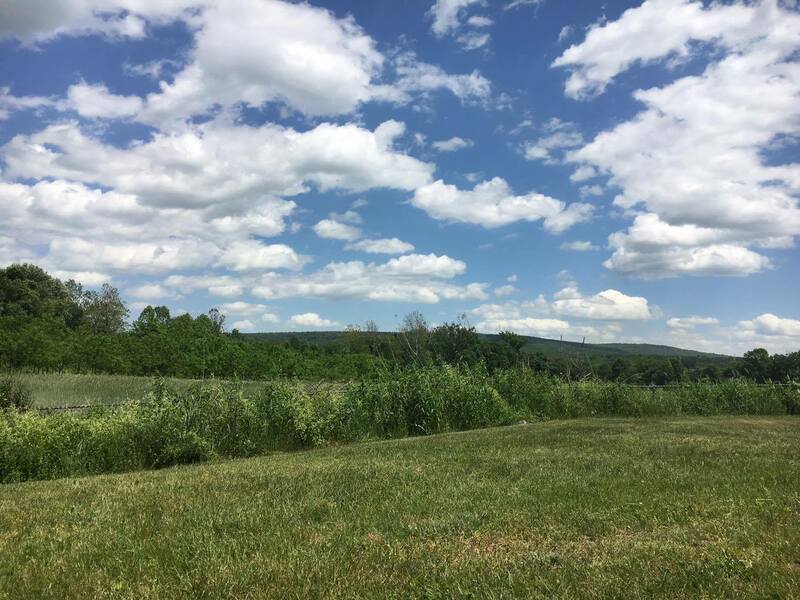 I was struck not by the incessant humidity and ungodly heat, both of which I anticipated, but more so by the immediate differences I noticed, as if there was a strict line between North and South. 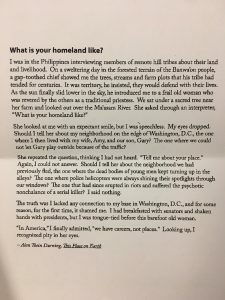 I encountered people who took serious pride in their right to carry arms, heard the beginnings of a southern accent, and realized that “southern hospitality” was not just a stereotype, but a real-world phenomenon. NC also turned red for the past election, so I started to have firsthand experiences with more conservative sentiments, something I couldn’t really say before. 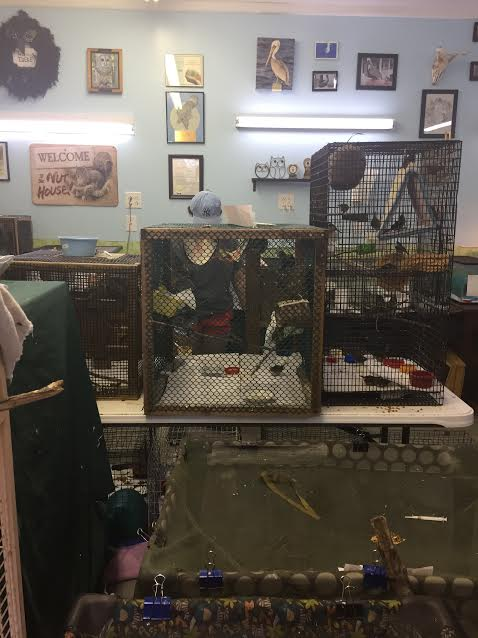 The view of the animal care room from the front door, and from that first moment onward I knew that there was a lot that had to be done. 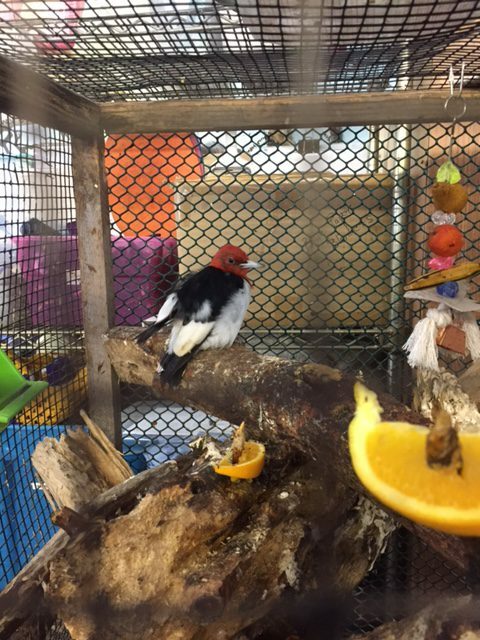 My first day was busy and hectic as I exclusively worked with the birds. Because it is currently baby season, the animal care room is extremely packed and the phone rings off the hook; every day there’s another possum, bird, or duck that gets taken under our wing. As of now, that basically means that we have what feels like a trillion birds, almost all of which need to be fed every thirty minutes. 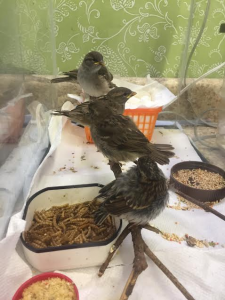 I learned quickly how to feed these differently sized birds using syringes, including proper techniques, the different kinds of food they required, and how much to feed the different species. House sparrows, chipping sparrows, and finches sit majestically next to each other on a branch, waiting semi-patiently for the next feeding. 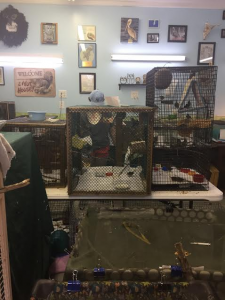 Almost everything I was told ended with “and if you do this wrong, you’ll kill the [insert animal here].” Although those words did strike fear in my eyes, I was surprised how welcoming and understanding the volunteers were when I had questions. They never once made me feel terrible when I made a mistake. And mistakes I did make. 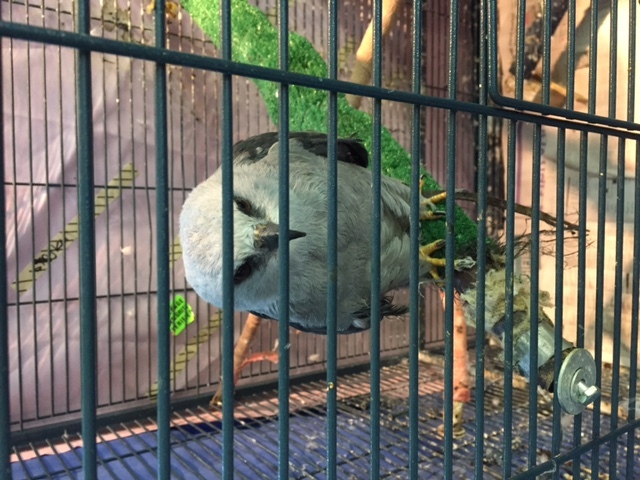 My first day I accidentally let two birds out of their cage and almost killed a bird because it swallowed a syringe tip. I was lucky that another intern managed to get the bird to spit out the syringe. 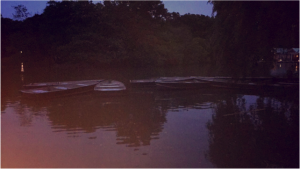 Despite my incompetence, the other volunteers’ gentle reassurance and constant support never ceased and even though I had fallbacks, my determination to learn more never wavered. Baby turkeys relax under a feather duster having already made a mess of their cleaned cage. Compared to Brandeis academics, it is immediately apparent that my internship is more demanding, requires hands-on experience, and will ultimately teach me more in a shorter period of time. I enjoy this kind of experiential learning because although knowledge is great for a foundation to understand a topic, doing something firsthand is the best way to become well-versed in a field. I expect that that’s why residencies exist. For this reason I believe that this internship is teaching me valuable skills that I can apply to an occupation in animal care. 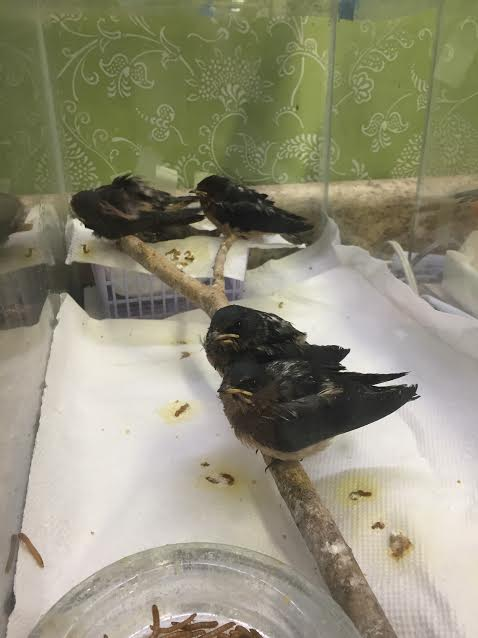 Four juvenile barn swallows and one juvenile rough-tailed swallow gleefully look at the photographer (me). One basic thing I learned this first week that I implicitly already knew but didn’t understand fully is just how rigorous animal care can really be. 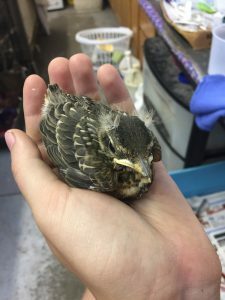 So many things need to be considered for the animal’s welfare, and for that reason it can sometimes be overwhelming to work in the animal care room. Even so, I have never felt so tired or so satisfied because of the work I completed. And that’s why I look forward to another week at the animal haven known as Possumwood Acres. 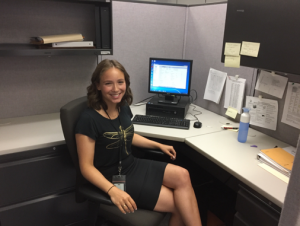 My internship at United for a Fair Economy (UFE) provided me with so much more than I expected. 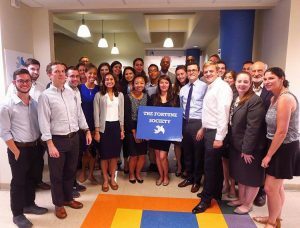 I went into this internship with the goal of gaining a better understanding of how a nonprofit organization actually operates. Interning at UFE helped me gain a more comprehensive understanding about the processes involved in successfully and efficiently running an organization. UFE gave me the opportunity to work in many departments which gave me a holistic understanding of a nonprofit. 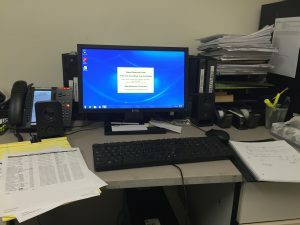 When a staff member went away for a couple months I took over all donation processing; I worked on data analysis and graphic design projects; I helped the Finance department prepare for an audit by reconciling all online donations; and I was given the chance to sit in on program meetings and phone calls. Throughout this process, I met my goal of determining if nonprofit work is actually something I could see myself doing. Getting behind-the-scenes exposure to processes made me more excited about possibly pursuing this field of work. More specifically, I really enjoyed and felt that I excelled at working in the development/communications departments at UFE, and I am now brainstorming ways to continue doing this type of work in the future. 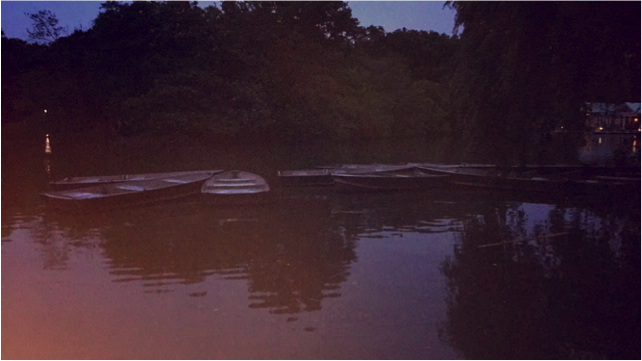 Beyond meeting the goal I set for myself this summer, my internship provided me with so many unexpected lessons. For example, I learned that there is a lot more to social justice work than one can learn about in a classroom or newspaper. The work these organizations do impacts real people, with real stories, making it complicated, frustrating, and also incredibly important. One thing that I learned about myself during this internship is how much I enjoy work that I genuinely care about. I have always prided myself on my work ethic, but I realized when I am passionate about a topic it does not feel like work. UFE taught me how important it is to stay grounded while doing this type of work. It is really easy to distance yourself from it and see it as a chore, but it is so important to always remember what you are working for and who you are serving. Whenever there was a grounding moment – whether it was a tragic event in the news or a heartbreaking story told by someone in one of our workshops – I felt my energy, and the energy among the staff at UFE, increase drastically, which was a really interesting and beneficial environment to be in. One of the biggest challenges I faced during my internship was not feeling like I had the authority to speak my opinions and ideas. Because I was new to the organization and the nonprofit world in general, I felt inhibited telling someone who had been working at UFE for 20 years how they should implement a program or what the best process might be to solve a conflict within the organization. Thankfully, in a small nonprofit like UFE all opinions and ideas were valued. In fact, they were welcomed. As someone who was learning the processes for the first time, I was able to notice small details and bring a set of fresh eyes to the organization. Thus, a piece of advice I would have for someone pursuing an internship at UFE or another similar organization is that your ideas and opinions are just as valuable as those of someone who has been at the organization for a long time. In fact, one of the things I am most proud of is how my confidence rose along with my level of comfort by the end of my internship. On one of the last days of my internship, I was given the opportunity to facilitate UFE’s biweekly staff meeting which meant creating an agenda, leading the actual meeting, and having the confidence to assert my authority to keep the staff on track or to interject my opinions about how I believed they should handle certain situations. At the beginning of my internship, I would have never believed that I could successfully lead a meeting for staff members who I felt had so much authority over me, but with the guidance, acceptance, and trust that UFE provided me, I was able to do it and I am very proud of and grateful for the opportunity. I am incredibly grateful to everyone at UFE for providing me with such an enriching and educational summer, especially my supervisor who always gave me projects that fit my needs and interests while also allowing me to be helpful to the organization. Please check out their Facebook page and blog (as well as the rest of their website) for more information! Leading a staff meeting on one of the last days of my internship! It was so fun to be given this challenge and use what UFE has taught me to successfully facilitate this meeting.eeds and interests while also allowing me to be helpful to the organization. Please check out their Facebook page and blog (as well as the rest of their website) for more information! 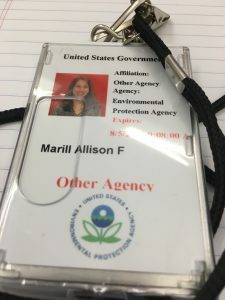 I can’t believe my internship with the EPA just wrapped up! 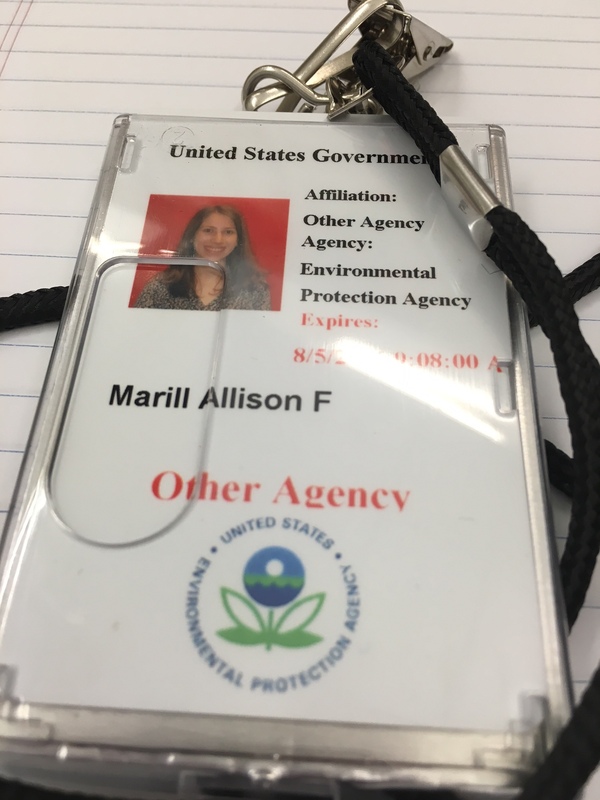 My internship at the EPA Office of Water (OW) immersed me in water policy, and I now know so much more about water quality valuation, water scarcity, environmental justice, and public health. My office had a diversity of professionals, and I enjoyed learning about the overlap of water policy with economics, tribal affairs, climate change, and more. 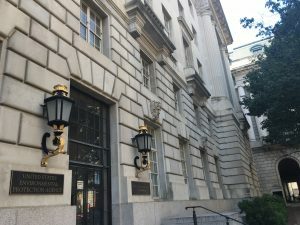 My internship offered me the opportunity to attend seminars throughout Washington D.C. and the EPA, learn more about the economics work at the EPA, and delve into meaningful research for the agency. My office at the EPA was in the center of DC. I was sad to say goodbye to my co-workers, though maybe I will be back some day. My 25-page report about water indicators to add to EJSCREEN, the agency’s environmental justice screening and mapping tool, was my largest contribution to the Office of Water. I proposed and researched ten water indicators related to environmental justice: water scarcity, flooding vulnerability, sea level rise, storm surge, safe drinking water, lead contaminated drinking water, nitrate contaminated drinking water, Concentrated Animal Feeding Operation (CAFOs) waste discharge sites, access to water recreation, and water infrastructure quality. I assessed the public health ramifications of each indicator, disparities in the indicator’s burden on the population, and the data quality of existing datasets for these indicators. Each of these water indicators could provide important information for communities and lead to community and agency action to mitigate these risks. At the end of my internship, I had the opportunity to present my ideas to the EJSCREEN Steering Committee. I spoke to a group of representatives from different EPA offices and regions and highlighted the importance of considering water scarcity, flood vulnerability, and sea level rise as indicators in EJSCREEN. The presentation offered an excellent opportunity to practice my public speaking skills, and I feel confident that the committee will focus efforts on the water indicators related to climate change. Maybe the next version of EJSCREEN will feature these indicators! I also compiled a report comparing EJSCREEN with another agency community screening tool called C-FERST, and I passed this report along to both the EJSCREEN and C-FERST teams. 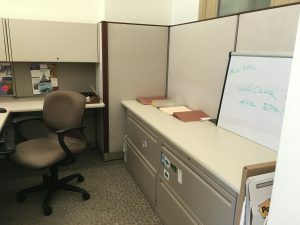 I wrote two policy memos for the Water Policy Staff after I attended two different seminars in D.C., and I was able to help a co-worker with an Office of Water Tribal Sharepoint. A few of these assignments stemmed from conversations with co-workers in the office, and this emphasized the importance of speaking up, asking questions, and taking initiative. Special OW intern seminars were one of the highlights of my summer. All six interns met professionals throughout the Office of Water and had the opportunity to learn about OW work ranging from climate ready water utilities to drinking water in Flint, Michigan. We met the Deputy Assistant Administrator in OW, heard the EPA’s Deputy Administrator speak, and learned about how to apply for federal jobs through USAJOBS. Just these seminars alone were an incredible learning experience! 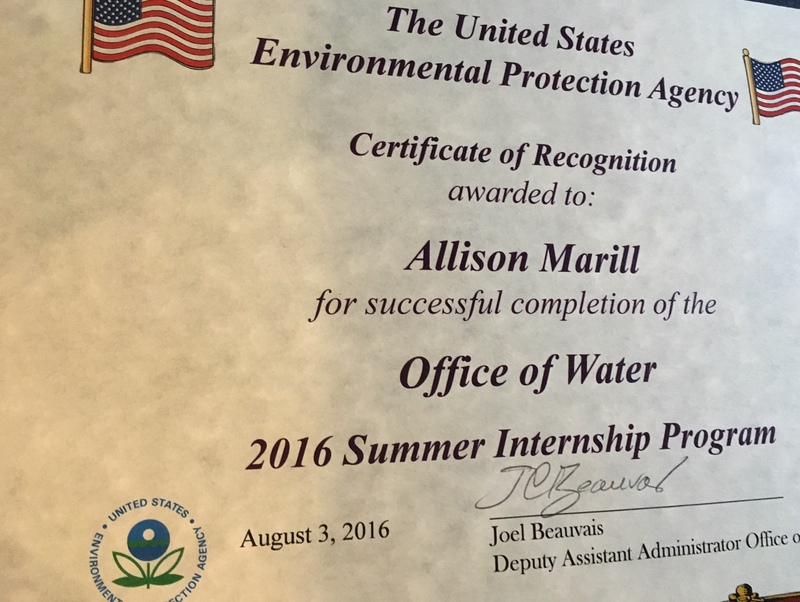 Interning with the Office of Water was also an eye-opening experience into the workings of the EPA. On a water policy level, I learned how society often undervalues water. The EPA has an important role to communicate the expensive and intricate process of protecting valuable watersheds and treating and distributing our drinking water. On an agency level, I saw how natural science and economics work together to help protect the environment, as science must be translated into meaningful policy. My experiences illuminated the interdisciplinary nature of the environmental field and the need for our nation to better address water management and disparities in environmental burdens related to water. 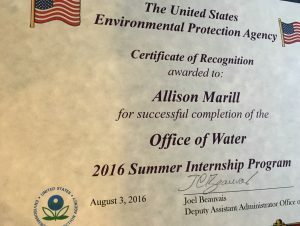 Overall, my internship was a fantastic learning experience, and I am thankful for the WOW Fellowship and my supervisor at the EPA for their support. Having just passed the halfway point of my internship, my outlook of the Integrated Chemistry Management (ICM) Program has changed. Initially, I was outraged at the blatant waste of resources spent on chemicals. Some schools had so many chemicals that they didn’t need to purchase any for another ten years. Outrage became acceptance, then resignation. The current school system enables a lack of accountability, knowledge and guidance with respect to chemical management, safety, disposal and protocol. One school that stood out was Billerica High School. 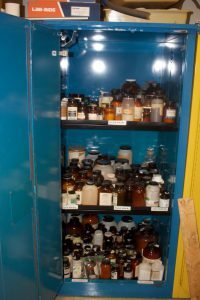 There a chemistry teacher explained that when she first came to the school there were many unknown and spent chemicals, which would be stored in a separate storage area. 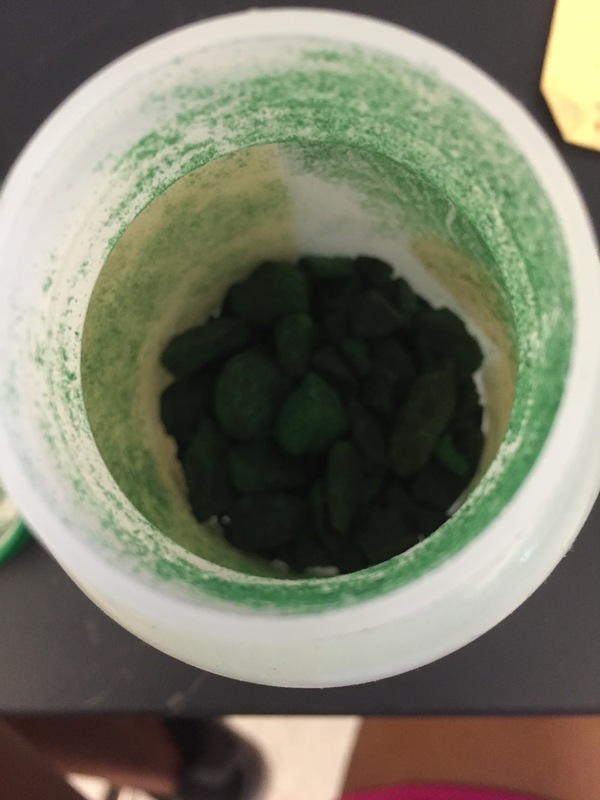 When teachers don’t know what to do with a chemical, they keep it. This trend carries on due to lack of accountability and oversight leading to an accumulation of RCRA hazardous waste and nonhazardous waste. She further shared that a new facility is being built in three years and that funding was allocated to ensure that the new chemistry labs and storage spaces meet current standards. Timing wise, it was best that Billerica reorganize their chemistry labs before moving to the new facility to avoid transporting old, banned and spent chemicals there. The school may be the oldest I’ve visited so far this summer. The chemistry laboratories were quite grimy and there was an excess of everything from chemicals to glassware to over the counter products, materials and apparatus. It had lots of RCRA hazardous waste and banned apparatus including 60 mercury thermometers. Consolidating compounds and separating waste from remaining chemicals allowed me to make a number of observations and think about the work I’ve been doing this summer. I noticed that some of the most dangerous chemicals are the prettiest. The Resource Conservation and Recovery Act (RCRA) lists a number of transition and heavy metals (metalloids), concentrated acids and bases, and alcohols as hazardous. They fall under the categories of corrosive, ignitable, toxic and reactive. All nitrate salts are considered RCRA hazardous waste because they are oxidizing agents. Chromium nitrate is an oxidizer and toxic. 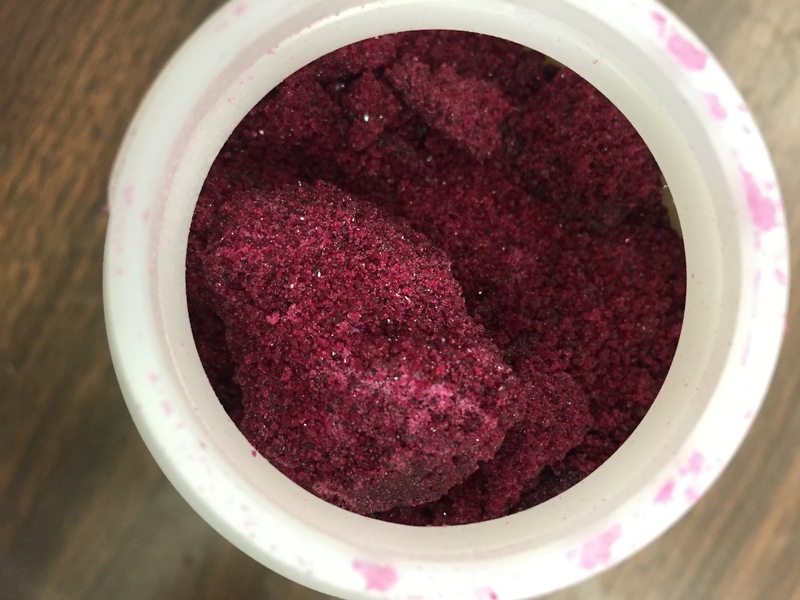 Other hazardous but colorful chemicals include copper sulfate (blue), cobalt chloride (pink), iron oxide (orange), potassium dichromate (orange), potassium chromate (yellow) and so on. The responsibility of disposing RCRA hazardous waste lies with the manufacturer. However, some chemicals are so old that companies have merged or were bought over the years. For instance Welch Chemical Company became Seargent Welch, and eventually their packaging transitioned from glass to mainly plastic. In order for Billerica to dispose of their unwanted chemicals they will have to bring in a hazardous waste company. I hope our efforts will help chemistry teachers there to reduce or halt their spending on chemicals for a number of years, and increase safety within the classrooms. I can’t believe how quickly time has passed that I’ve now reached past the midpoint of my internship! I think a true mark of my time at Rosie’s Place so far is that it has felt like I’ve been working there for much longer than just five weeks. By now I am familiar with many of the names and faces of the guests and a number of them know my name too. I can walk through the doors at 9 AM already expecting what tasks I will need to do but never fully knowing what the day will bring. 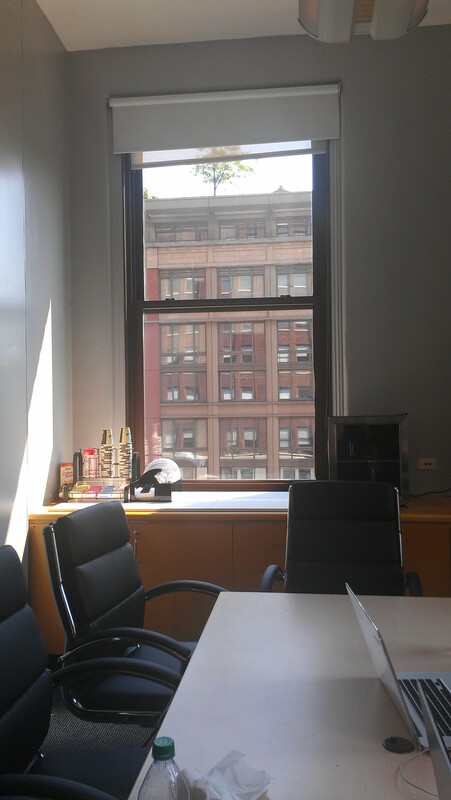 One impression about my new environment in the workplace is that no two days are ever the same. It is always busy, but some days the sign up list for the computers may be very long and other days the computers may not be as high in demand. There are also days when I get to step away from the front desk. For example, I have attended two trainings for the Social Justice Institute, a summer volunteer program for high school students. Generally it can be stressful and tiring working in such a fast-paced environment because I am trying my best to help as many people as possible. It can also be emotionally taxing when I encounter situations I can not help, and so I need to take care and not bring such feelings home with me. The World of Work has shown me how much time I have in my university life in comparison to working 35 hours a week. While I still juggle classes, work-study, and clubs, I often have small breaks between everything to help me recharge. I have also noticed what it is like working in just one building rather than walking up and down campus to get to class, and how really important it is that I get the chance to outside for lunch and fresh air. The World of Work has made me aware of my age as well. I am so used to interacting with others around my age that I forget I am a still budding young professional who may not be as taken as seriously. I am, however, building many skills as a result of my internship. I am learning how to better communicate with all people from different backgrounds, especially when answering the phone. I no longer hesitate as I used to when I had to answer the phone because I understand that it is okay to put someone on hold if I do not have all the answers right away. In anything I encounter whether is be academics or on/off campus involvement, I will know there is nothing wrong with asking questions. Certainly in my future career plans, I need not to put pressure on myself and stress myself out about getting everything right, no matter how good of a first impression I want to make when I start, It is only with time that I will learn and become more comfortable in my position. Every day at the EPA brings a new and exciting learning opportunity. My supervisor has encouraged me to attend seminars throughout the EPA and Washington, D.C. and to write memos for the Office of Water. In the end of June, I attended a seminar about federal coal leasing at Resources for the Future, an environmental economics think tank, and heard Jason Furman, the Chief Economic Advisor for President Obama, give recommendations about reforming the federal coal leasing program. As a student studying environmental economics, the discussion was intellectually stimulating and offered a new perspective on energy policy. 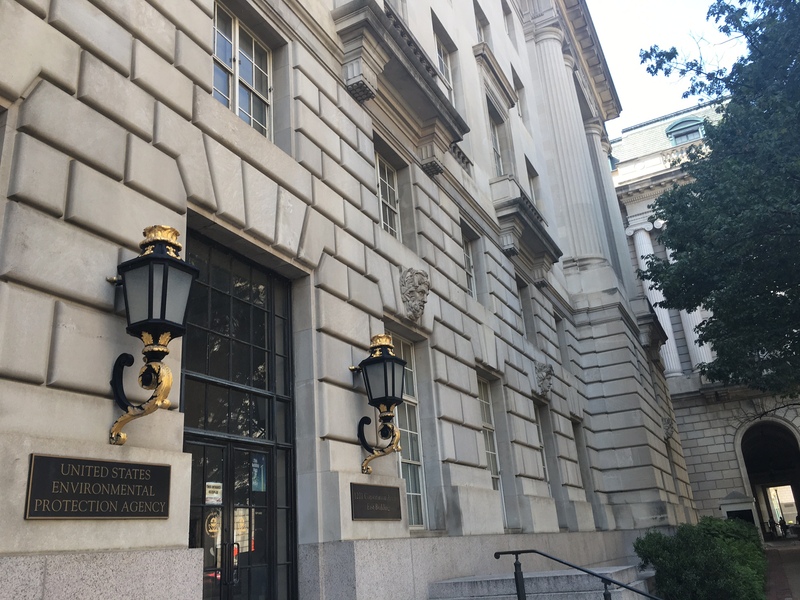 In the following week, I attended a town hall meeting led by EPA Deputy Administrator Gina McCarthy, and I learned about EPA’s amazing accomplishments in the past few weeks—the Toxic Substance Control Act reform and the Volkswagen settlement. The talk was energizing, and I felt proud to be part of such an impactful agency. Panelists at the DC-Israel Water Summit discuss transboundary and off-grid water management. 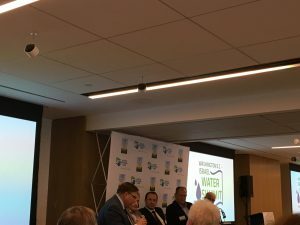 The DC-Israel Water Summit, a conference about Israeli solutions to its water scarcity crisis and its applicability to U.S. water policy, was the highlight of my summer so far. This summit was absolutely amazing, as it brought together both my love for Israel and my passion for the environment. 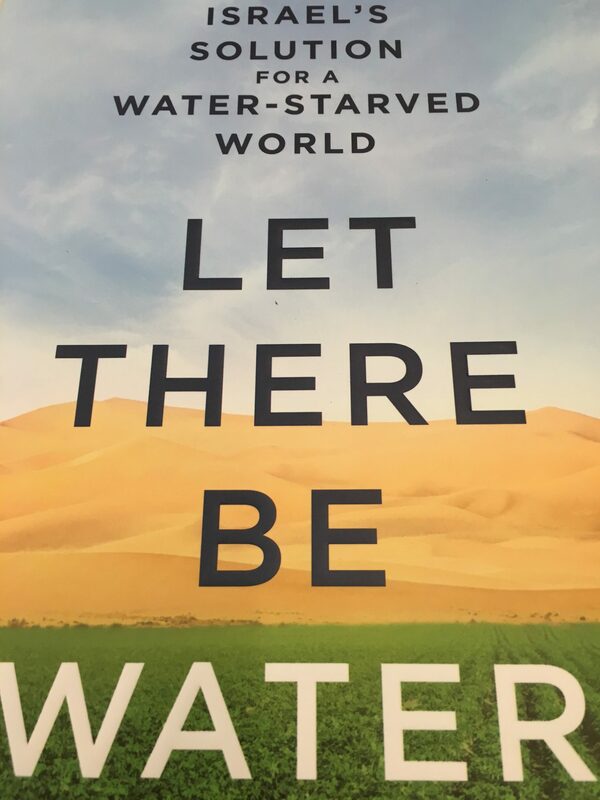 The summit was also relatively small, so I had a chance to meet water professionals from around DC and meet the author of Let There Be Water, a book about Israel’s approach to its water crisis. I heard from panelists who were from USAID, the Chesapeake Bay Foundation, Israeli research institutions, Coca-Cola, the Israeli embassy, the Brookings Institution, and more. The summit was both personally and professionally fulfilling. 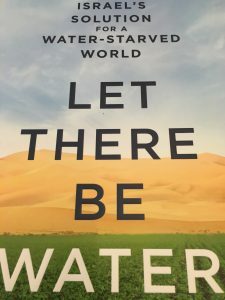 The Israeli response to its water crisis was incredibly inspiring and gives me hope for other countries to overcome their own resource scarcities: Israel recycles 85% of their wastewater, decoupled water usage from economic and population growth, and now has a water surplus and exports water to Jordan and the Palestinian authority. We have a lot to learn from Israel! After learning all of this from the summit, I had the chance to write a memo for the Water Policy staff to share these findings and offer recommendations. For myself, I may consider a career in the water field— water management will be a growing focus in the U.S. and has potential for great reform and modernization. I also started working on two reports for the Water Policy Staff. First, I am comparing two similar environmental screening tools—an environmental justice tool called EJSCREEN and the Community Focused Exposure and Risk Screening tool (C-FERST). Two different committees worked on these tools, and I am tasked with comparing any overlap between the two tools and providing my thoughts and recommendation to both the C-FERST and EJSCREEN committee. Additionally, I am in the midst of writing a recommendation of water indicators to add to EJSCREEN. This requires doing a literature review of different environmental justice topics related to water and climate change, assessing available data sets to find high-resolution data, and making an argument for adding these new indicators. So far, I feel most passionate about my water scarcity indicator, especially after attending the DC-Israel Water Summit. I know the EJSCREEN committee is most open to adding climate change related indicators, so perhaps they will add this indicator. At the end of the July, I will pitch my ideas to the EJSCREEN Steering committee. I have my fingers crossed! This summer I am working with the Integrated Chemistry Management (ICM) Schools Program, which is funded by the Environmental Protection Agency. The program entails visiting various middle and high schools across Massachusetts and Rhode Island to organize their chemical storage spaces and laboratories in such a manner that those chemicals do not pose a hazard to students, teachers and the surrounding communities. The program further educates staff about waste management, safety practices and the use of a real time inventory. Monday: Visited Pioneer Charter School of Science in Everett. The team was greeted by a zealous STEM coordinator who escorted us to the chemistry lab and checked in periodically throughout the day. The school is rather small with limited funding, which was reflected by the number of chemicals in their storage facilities. The coordinator was very eager to continue the next step of the program, which is to have the teachers trained in chemical safety in August. 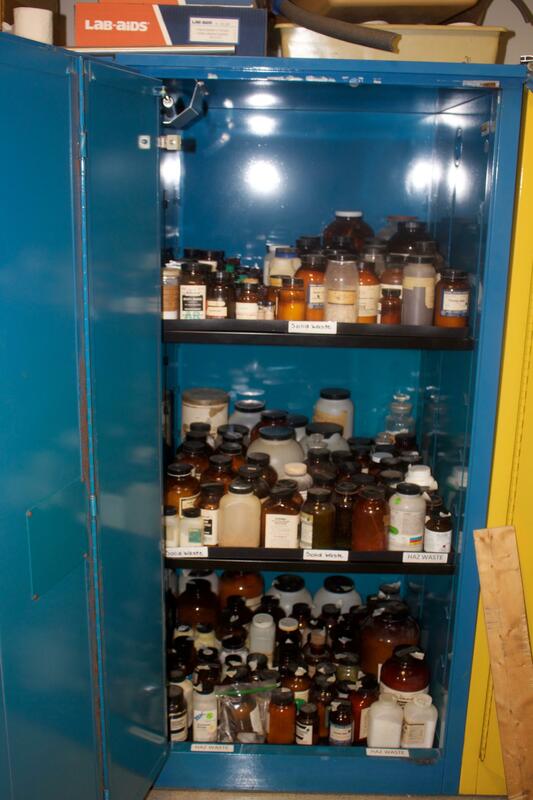 The completed chemical storage cupboard for the Pioneer School. The chemicals are arranged according to the type of chemical, then alphabetical order and size. Solids and liquids are placed on separate shelves. 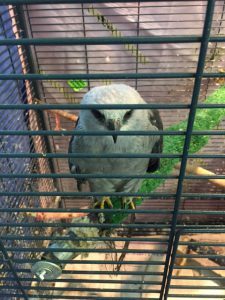 Tuesday & Wednesday: We visited Dracut High School. The number of chemicals in their lab was ridiculous – ten 500 mL of sodium acetate solution, 17 500 mL sodium phosphate solution, 62 hydroxide solutions, 34 carbonates, 88 chlorides and 27 hydrochloric acid solutions of varying concentrations. I won’t go on. This occurred mainly because many of the chemicals were purchased as kits and so many were unopened and covered with dust. It must have been difficult to know what chemicals are available when they are stacked and as a result more of the same chemicals were ordered before using the ones present. 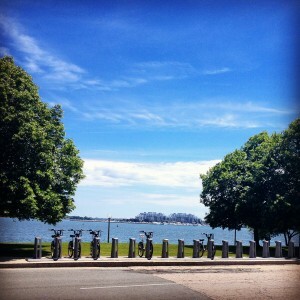 Thursday: We visited Swampscott High School. The building was very new but the chemicals stored in it were very old – some older than me. Here we encountered more hazardous chemicals such as a few mercury compounds, several yellowed labels making it difficult to identify the chemicals and a few fluoride chemicals to name a few. What made this school interesting is that the chemicals were mainly arranged in alphabetical order, which meant that a number of incompatible chemicals were stored together. 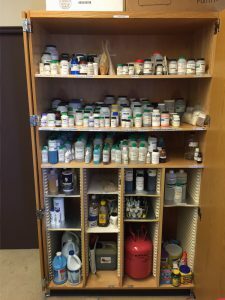 A storage cabinet containing all chemicals including hazardous waste that will be disposed by a contractor within the upcoming school year. Many of the chemicals are very old or are oxidizers. Several chemicals such as bisulfate, phthalate and thiosulfate salts and numerous organic acids seemed more suitable for chemistry research labs than in a high school teaching setting. Some chemicals I encountered had amusing names such as Onion’s Fusible Alloy and super duper polymer gel. On the other hand I was horrified when I ran into Thorium Nitrate, which is radioactive and mercury thermometers. I hope that the ICM program will help teachers make informed decisions about the types and quantities of chemicals that they order and store in the future. http://www.maine.gov/mema/prepare/conference/2013_conference/24_icm_detailed_general_2013.pdf and http://www.umassk12.net/maillist/msg00362.html for more information. This summer I am lucky enough to have an internship at The Fortune Society in New York City. This is a non-profit organization that provides a wide variety of services to formerly incarcerated or at-risk individuals, such as housing, counseling, and employment services to name only a few. The mission of Fortune is “to support successful reentry from prison and promote alternatives to incarceration, thus strengthening the fabric of our communities.” This is accomplished primarily by believing in an individual’s ability to change with the right guidance. This site is good because it elaborates on some of the most popular of services provided by the agency. 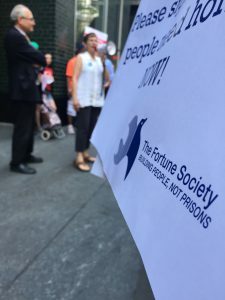 During my time at Fortune, I will be working in the housing department as well as the David Rothenberg Center for Public Policy (DRCPP), where one of the bigger projects I will help with is to conduct a study related to the effect of criminal background questions in New York State. This effort is called Ban-the-Box, and can be more closely reviewed here. 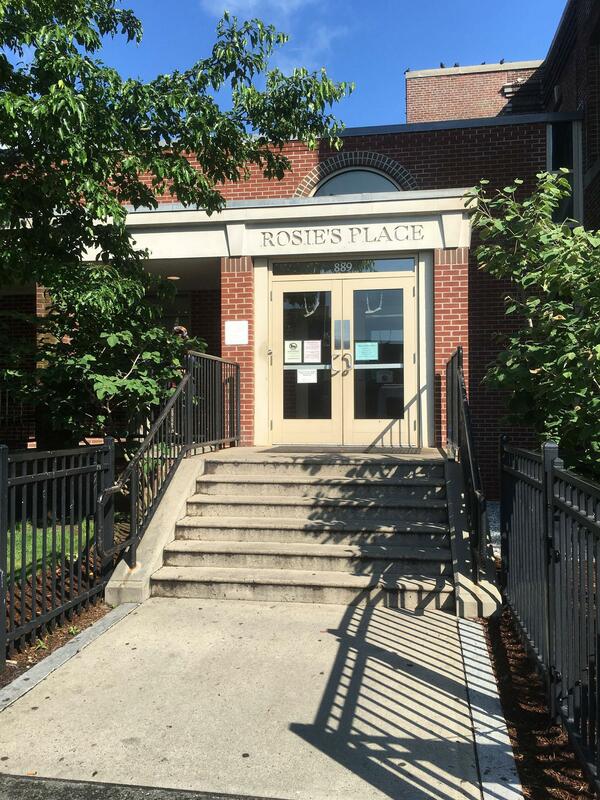 This week, I spent most of my time at the housing center and orientation for the DRCPP starts next week where I will look forward to meeting the rest of the interns. During my time at the housing center thus far, I have worked with numerous people with varying roles in the organization so I can learn about the efforts of the Center in a holistic manner. I look forward to understanding more about how to create a successful and supportive transitional housing building which is occupied by formerly incarcerated individuals. Every client utilizing the housing services at Fortune is immediately assigned a case manager upon entry to the program who remains in close contact with the client during their time at Fortune. Case managers typically talk to their clients at least every other week, and through my experience so far, there seems to be an amicable relationship between the two individuals, which creates a more comfortable environment for the client. 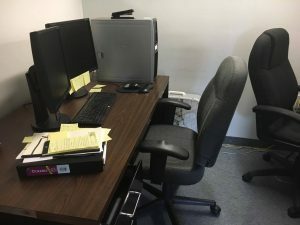 I had the opportunity to work closely with one case manager in particular; he walked me through conducting room inspections for clients, compiling reports into the computer, and then filing the reports. Next week I will start having one-on-one conversations with clients to discuss their progress in the program including strategizing employment opportunities, overcoming substance abuse, and addressing other issues relevant to their successful re-entry from prison. My desk at Castle Gardens. 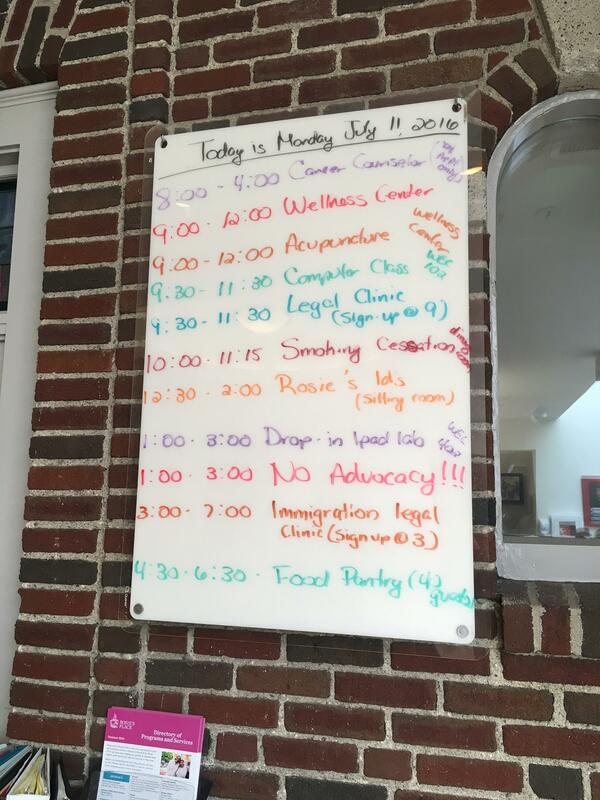 Earlier in the week I also worked closely with the supervisor of residential aides; in addition to him showing me the conveniently stocked break room, which was a plus, he guided my through documenting incidents concerning clients. From what I documented, incidents can range from an ambulance being called for a client to a client’s unfortunate re-incarceration to a physical brawl between clients. Perhaps the most shocking and dare I say uncomfortable thing I’ve done so far was administer a urine toxicology test, where I had to watch a client urinate into a plastic cup and proceed to test it for a variety of drugs. Luckily for both me and the client, all of the results were negative. I’m really looking forward to the rest of the summer—I really feel like I have the ability to both directly and indirectly help people. One of the main goals I had for my summer internship experience was to enhance my communication skills. I was able to achieve this goal while evolving as a professional in ways that I could not anticipate before my internship began. When I originally set this goal, I assumed I would meet it by engaging with folks one on one to discuss NARAL’s work. I absolutely did communicate with people in this way, especially at events where NARAL hosted a table, such as the Boston Pride Parade and Suffolk University’s Menstrual Health Conference. Overtime, I did become more confident in representing the organization and its mission by talking to people individually and in smaller groups. 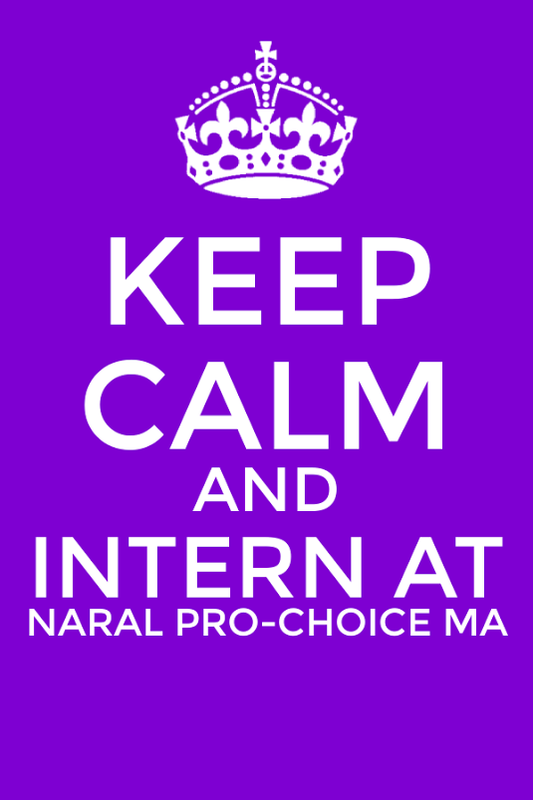 However, another way in which I was able to bolster my communications skills was through my work as a member of the NARAL staff and intern team. 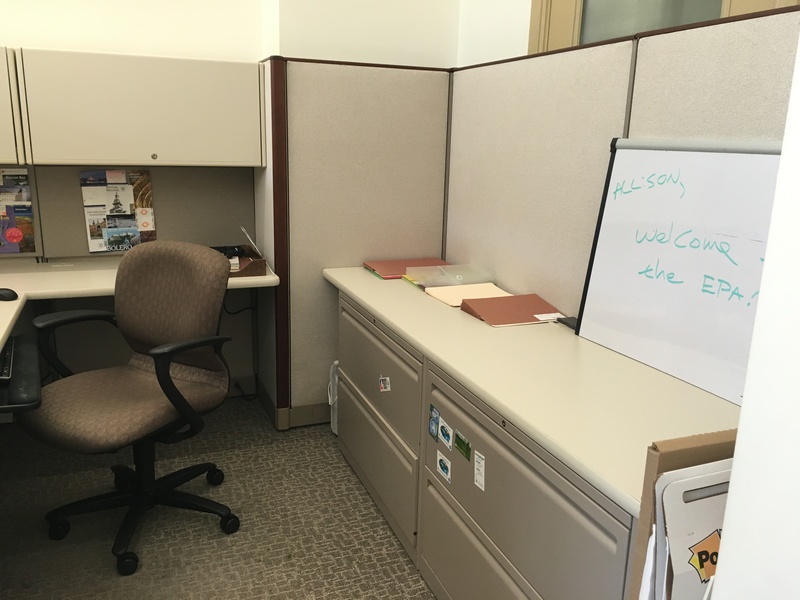 As I mentioned in my last blog post, my supervisor left the organization a few weeks after my internship started, which proved to be a difficult transition for my fellow interns and me. 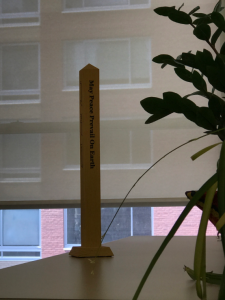 I expressed concern about the transition to my interim supervisor and engaged in an honest dialogue about the environment that resulted from my initial supervisor’s departure. This conversation was a turning point for me, in both a professional and personal way, as I embraced the opportunity to advocate for myself and express my honest sentiments in a constructive manner. In the past, I have had difficulty expressing or advocating for my needs, as it is more my nature to please others and shy away from disrupting the flow. However, I realized that if I did not advocate for myself in this situation, my internship experience would suffer. I had a positive dialogue with my temporary supervisor during our initial conversation, which resulted in her understanding and action. My temporary supervisor enacted immediate changes and was sure to check-in with me periodically to keep the communication lines open and honest. This entire experience proved to be extremely rewarding since I stepped out of my comfort zone and went out on a limb to advocate for myself. I found my voice in a way that I did not know existed. Despite the brief period of disruption, this experience was valuable to my personal and professional growth. 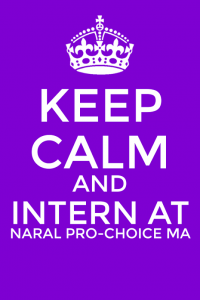 For any students interested in interning with NARAL or another organization in the field of health care advocacy, I would advise them to ask as many questions as possible. The realm of politics and health care policy is filled with nuances and an overwhelming amount of information. The best way to become familiar with all of this information is by continuing to learn and ask questions. The staff members at NARAL have always happily answered my questions and have taken the time to thoroughly explain policies to me. The staff’s openness to inquiries contributes to the positive atmosphere of the office, which is something that I really appreciated about this internship. Overall, this was a fantastic summer, and I am so grateful to the WOW program for allowing me to have this experience. 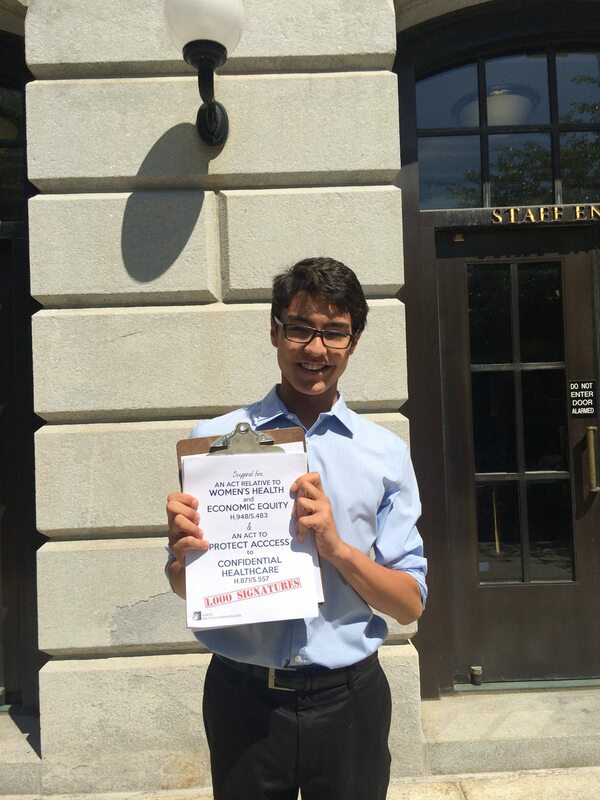 Here is a picture of another NARAL intern dropping off petitions at the State House. For more on recent legislative hearings that included NARAL bills, check out this article! 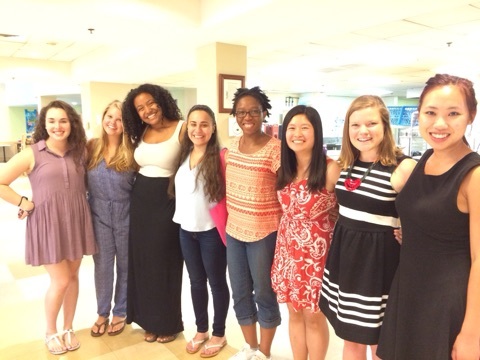 I can’t believe my summer at Lawyers For Children has come to an end! 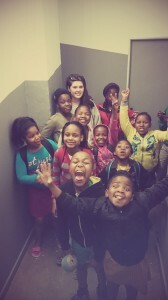 Working with foster care youth in New York City has been an eye-opening experience. Before I started the internship, I aspired to learn more about the interaction between law and social work and what sort of balance between the two produces the best results when working with underprivileged populations. Working at LFC taught me how important it is for Foster Care attorneys and social workers to work collaboratively with one another. 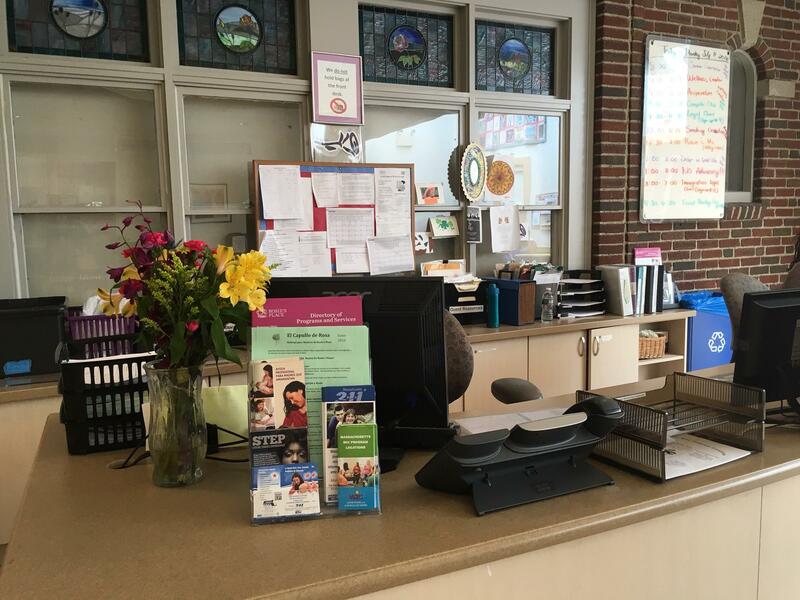 After attending several meetings for clients with several different agencies and organizations present, I noticed that LFC provides a comforting presence in every child’s life that other governmental agencies and nonprofits do not. This is because the fundamental element of LFC’s philosophy is that each child has an attorney and a social worker that work together as their advocates. Although other organizations and agencies work hard to provide youth with the services they need, they often do not develop as in-depth relationships with the youth because they only see the child’s situation from one perspective. Other nonprofits serving foster care youth assign a social worker to as little as 15% of their cases. LFC recognizes that every child, regardless of the ‘severity’ of their situation, needs a social worker because social workers have different skills than attorneys and can provide a unique perspective on their case and how to best serve the child. My career goal was to gain experience in a legal/social work setting that advocates for human rights and social policy. I gained more ‘social work’ than ‘legal’ experience at LFC after working alongside a social worker all summer, but I did get to observe clients’ cases in court which gave me insight and a diverse perspective on how the legal side works. This internship has definitely solidified my desire to work as an advocate in the public interest field, but I am unsure as whether I’d like to fulfill that role as an attorney or social worker. I did learn that I enjoy being out in the field more than I do sitting at a desk which directs me toward the field of social work. 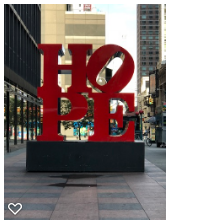 A personal goal for this summer was to gain a better understanding of the social issues the foster-care population in large cities like New York City faces. Sadly, these issues were much more prevalent than I could have imagined. The greatest issue that caused me the most frustration is the stigmas foster care youth face, whether in school, the community or among agency workers whose job it is to help them. I highly recommend Lawyers For Children as an internship destination, whether it be the legal or social work side. The internship gives interns the opportunity to see the various tasks each side is responsible for which can help solidify a future career path. I would also advise anyone interested in social work and human rights to consider an internship at Lawyers For Children because it exposes interns to the dire human rights issues that often go unnoticed in their own communities. This summer I am most proud of helping clients realize their potential when it comes to applying for jobs or brainstorming future academic goals. Unfortunately many foster care youth are not viewed as capable of achieving the kind of goals the rest of us may have and they themselves start to believe that stigma. I learned that consistent support and affirmation goes a long way. 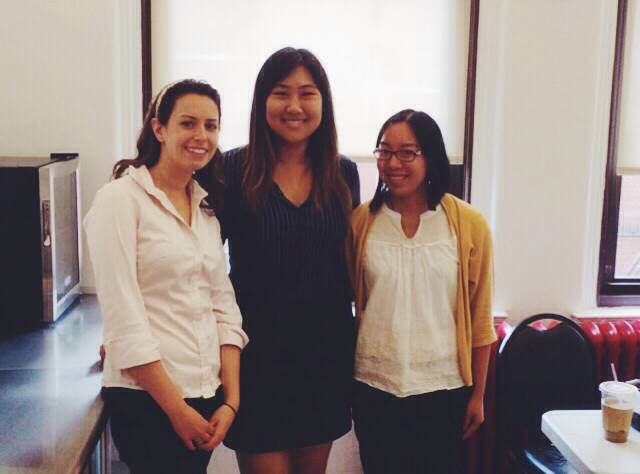 I just finished up my sixth week interning at Lawyers For Children in NYC! Where has the time gone? I knew this internship would be incredibly eye opening and enriching, but I never expected it to be this much so this quickly. I have learned so much in so little time that I am left eager to acquire even more knowledge in the time I have left in New York City. First off, living in New York City is an adventure in itself. There’s always so much going on and so much to see. Traveling by subway is an adventure in itself; I never get bored of the slam poetry performances, magic tricks and soul singers! 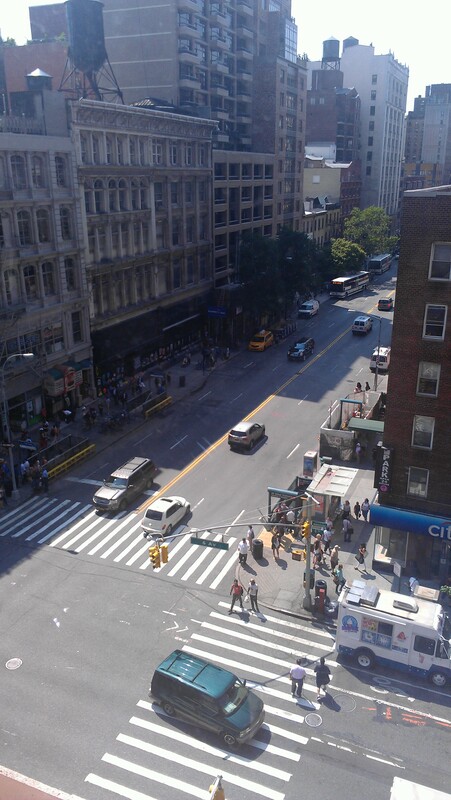 My workplace is situated in the heart of Chinatown and I am also just a short walk from Broadway (which is full of shops and restaurants) and Little Italy! I am living in midtown Manhattan right near Penn Station, which is also a very bustling area. 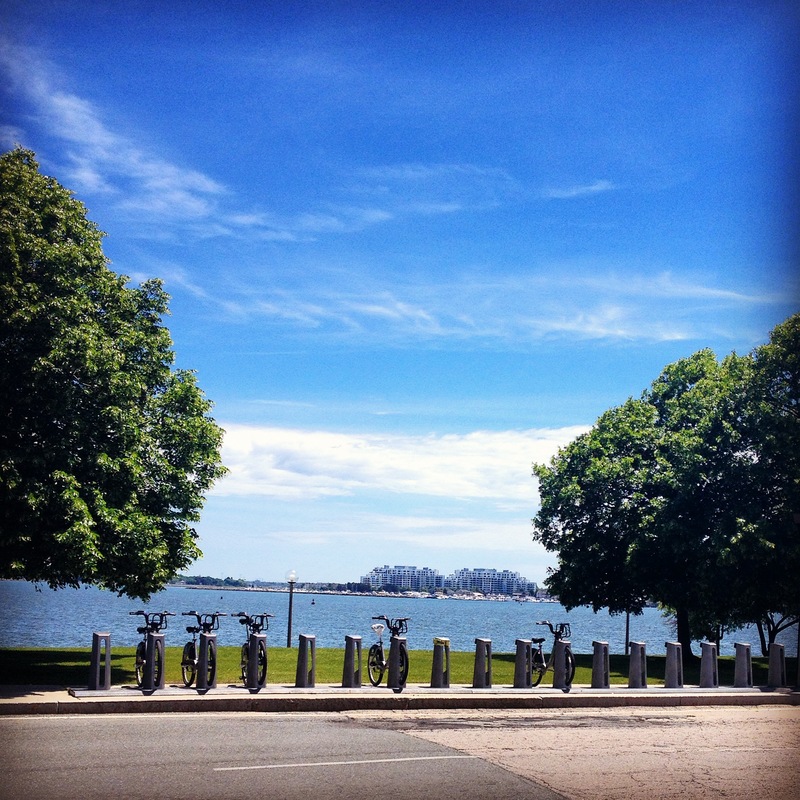 My apartment is very close to the Hudson River Parkway, which is where I complete most of my morning runs! 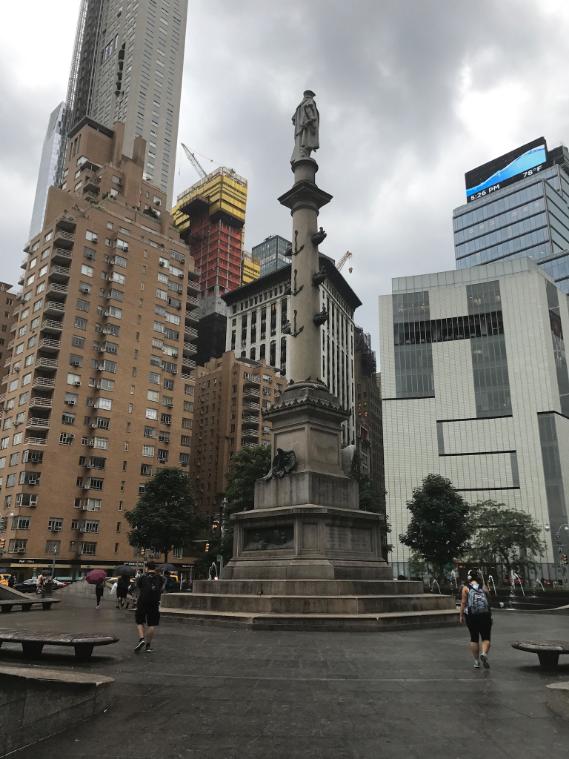 I’ve been able to explore Central Park and West Manhattan while on longer runs over the weekend, which has been a nice break after the long workweek! I’ve been incredibly busy at Lawyers For Children. Working everyday from 9:30-5 is quite an adjustment from the college where there are often long breaks throughout the day in between classes. 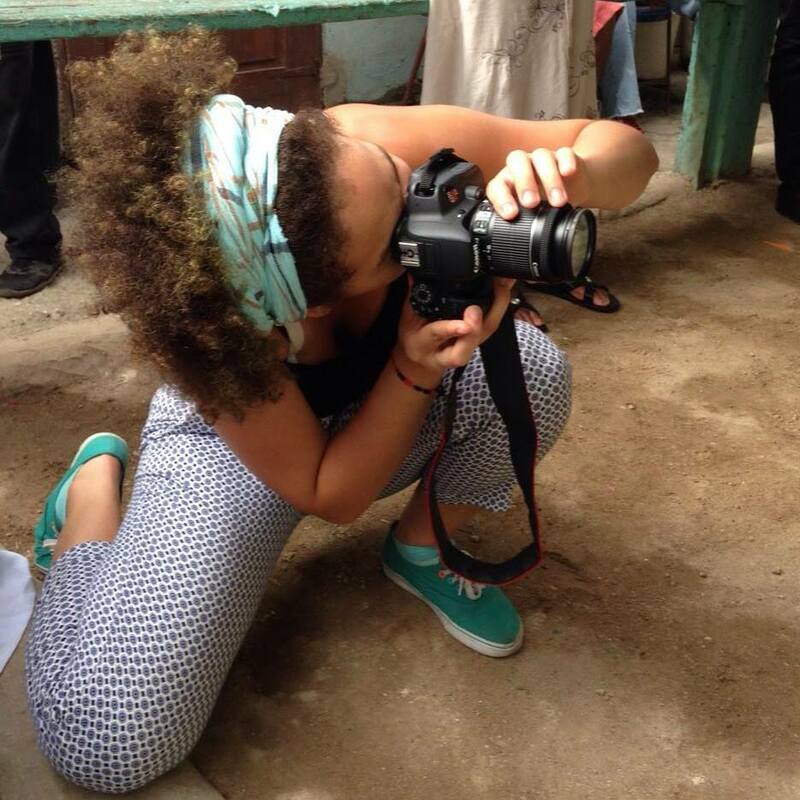 Everyday is different as a forensic social work intern at LFC, which keeps things exciting. I have traveled to all five boroughs in New York City (Manhattan, Queens, Bronx, Brooklyn and Staten Island) visiting clients and participating in meetings. I’m so fortunate to have an internship that allows me to get to know the city I’m living in while at work! As I mentioned, I’ve learned so much at Lawyers For Children already despite only having been there six weeks. Before beginning this internship, I knew that the foster care system does not always provide children with the love, support, and resources that they need and that as a result many children in foster care endure many more hardships than those living in loving families, but I never imagined the extent of those hardships could be as profound as what I’ve seen thus far. Through my work at Lawyers For Children, I’ve learned to view every situation with a fresh set of eyes because the context of these children’s histories can impact their lives in so many ways. It’s important not to make assumptions about a child based on their behavior or by who they are ‘on paper,’ (as they say) because there is always a reason they act and feel the way they do. Before assuming anything at all, it is important to listen. This is also true in the classroom. When engaging in social, political, economic or any sort of debate, it is important to understand why the person feels a certain way instead of judging them for feeling differently on an issue than you. Sometimes understanding why can even change your point of view! Here is a link to a few videos of LFC clients describing some of their experiences in foster care and how LFC has helped them. This is also a very important skill to possess as a social worker or attorney. To develop a relationship with your client, you must understand where they are coming from and why they have certain goals instead of trying to impose your own ideas on them; otherwise it is nearly impossible to develop a constructive, successful relationship from which both parties can benefit! I’m hopeful that I will obtain many more skills as this internship progresses and I am eager to share those with you all at the end of the summer! 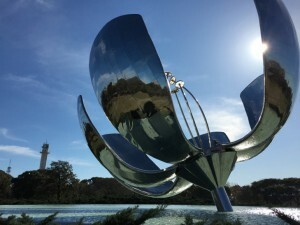 It has now been a little over a month since I started working at Tip Comunicación, a small PR agency in Buenos Aires. I have had such a good time so far, and I am excited to share a little about my experience with you. This past month has been an amazing learning experience. 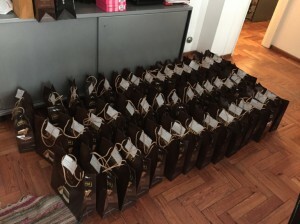 First, I assisted at a fashion show for Sweet Victorian, Argentina’s leading swimwear and underwear brand, for the launch of their swimsuit collection. It was so fun! I got to greet some amazing journalists at the door and guide them towards where the other press representatives where gathered, help my boss and coworkers throughout the event, and also watch the show alongside a few Argentinian celebrities. I also have had the opportunity to ghost-write a few articles to promote our brands and write more press releases. My writing skills have gotten a lot better this past month! I know this will help me so much after college, when I hope to be working full time either in PR or advertising. Another thing I’ve been doing a lot of this past month has been preparing product kits to send out to journalists. We have a new client at Tip called Successo. They produce alfajores: traditional Argentinian candy that consists of two cookies put together by dulce de leche (milk caramel) and usually covered in chocolate. Successo also makes cookies and other types of candy, but alfajores are their specialty. I had to make 93 packages, so by the time I was done I had seen more alfajores than I ever need to, but it was actually quite a relaxing experience. I have been working on my organization skills through this task, which I know will be very useful after my work at Tip is over. Whether I end up in advertising or PR, I will most certainly need to be organized. Writing for brands has also helped me get out of my “writing comfort zone” and speak in a way that represents the brand I’m trying to promote rather than myself. I know that if I’m writing for an educational institution I must use a somewhat friendly yet mostly serious tone, while if I’m writing for a teen swimwear company I have to take on a younger, bubblier personality. Different vocabulary is also used for the different brands and it is very important to always keep that in mind. Writing a press release or an article in the name of a certain brand is very different from writing my own blog, or posting something on my social media accounts. This internship has provided me with the tools to identify each brand’s personality, target, and “dialect.” My boss is very strict about this and it has made me very aware of the use of each word. Being at work is so different from being at school for many reasons. First, there are no grades involved, which means my goals are only to learn as much as possible and to meet my boss’ expectations. Second, there’s a lot more “figuring out” to do on my own. I am told what needs to get done and a few tips on how to do it. I’m always allowed –and expected– to ask questions and get help when necessary, but I am also expected to get things done as well and fast as possible, which sometimes means I have to make my own decisions. I am so lucky to have an amazing boss that gives me the space and tools to work things out on my own and make some mistakes that will help me learn. Of course, she is always there to step in and save the day in case I actually do something wrong, but so far it’s been working out just fine! Overall it’s been a really exciting month. I’m so glad I have this opportunity this summer and I’m excited for the rest of my internship. The Fundacion Cultural Cofradia, is a non-profit organization that promotes and preserves the Afro-Dominican and Dominico-Haitiano traditions in the Dominican Republic. Cofradia is located in Santo Domingo, the capital, but their mission extends throughout different regions of the country. 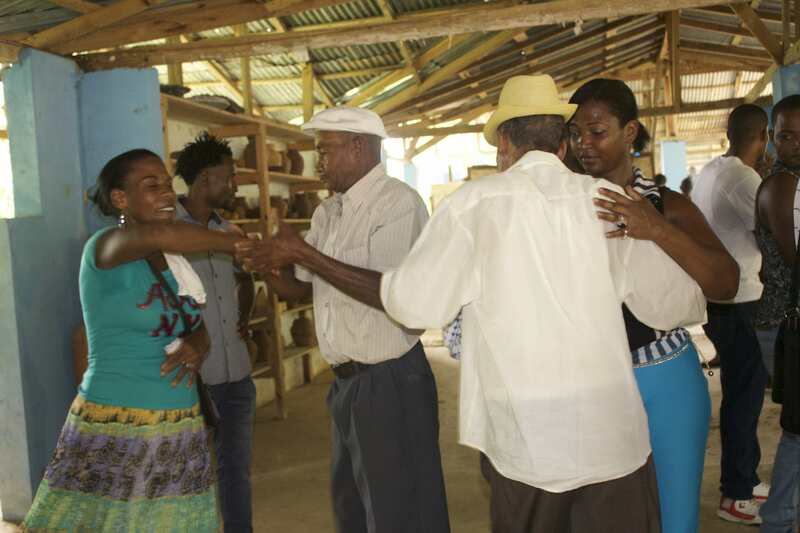 They work closely with the portadores de cultura, which are the people in the community in charge of keeping these traditions, in order to provide support in the areas most needed. This support comes in different forms, such as the creation of schools, workshops and festivals centered on these traditions. I contribute to their mission in two different ways, the office and field work. As part of the office work I file documents, communicate with el Ministerio de Cultura, (the government office in charge of approving the projects and providing the monetary support) and follow up in the updates of previous projects. During the fieldwork, the Cofradia team and I travel to diverse parts of the country and visit the communities that most need our support. Here, I interviewed the portadores de cultura on their traditions and how they function in the communities. I also document events by photography and videos which are later used as documentation to create new projects. Last summer I traveled to the Dominican Republic to visit some family members. As part of my visit I wanted to learn more about the Afro-Dominican traditions. When I expressed this to my aunt she put me in contact with the Director of Cofradia, Roldán Marmol. Director Mármol invited me to a fiesta de palo, a religious practice that mixes African and Taino religious beliefs with Catholicism. Later I expressed my interested in learning more about these traditions and religions. He told me about his organization and we discussed the possibility of an internship. During my first week of work I met the entire team of my co-workers and learned about the projects they been working on. I was provided with books and articles that talked about the diverse traditions of the Dominican Republic. That week we participated in the celebration of San Antonio sponsored by the Brothers Guillen in Yamasa. There I photographed the event and first experienced Gaga, a tradition born out of the sharing of cultures between Haiti and the Dominican Republic. For me, it was the first time, since I arrived to the island, that I have witnessed such a harmonious and unifying manifestation of the two countries traditions living as one. The more I work with Cofradia the more I realize the importance of providing visibility to the Afro-Dominican and Dominico-Haitiano traditions. 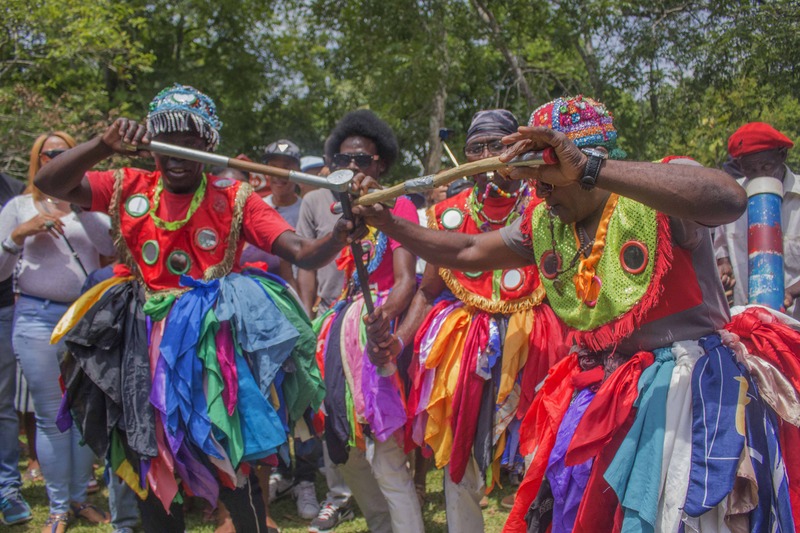 One cannot set apart these traditions with their communities, which means that if the traditions remain invisible and unappreciated the community suffers the same condition. These traditions are rich in knowledge, dance, music, art and history. I want to learn how to work with both the communities and the government to create projects that support the preservation and changes, that come naturally with time and new generations, of these traditions. 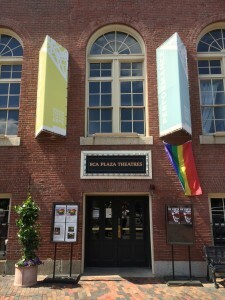 As I approach the half way point of my internship at PFLAG National, I can’t believe how fast it has gone by. So much has happened since I began my internship in June: I’ve written 3 issues of our national policy newsletter Policy Matters; three other amazing interns have joined me in the office with all of us working together to accomplish some serious LGBT advocacy; I’ve attended more events than I can count at places like the White House, various federal agencies, and a range of NGO’s; Pride Month ended; and oh yeah of course, MARRIAGE EQUALITY!!! 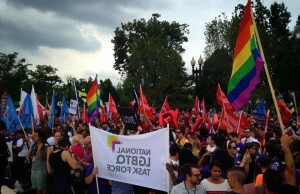 Hundreds of people gathered at the Supreme Court on June 26th waiting anxiously for the ultimately monumental decision handed down on marriage equality. Having the opportunity to witness the historic SCOTUS Obergefell v. Hodges decision in action was incredible and to be honest, almost unbelievable. During the decision days, the entire office waited on the edge of our seats anxiously watching SCOTUSblog. 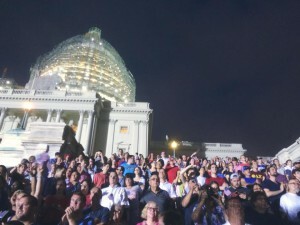 When the decision came down on Friday June 26th at 10 in the morning, everyone in the office cheered and many of us interns went over to the Supreme Court to join hundreds of others in celebration. But although the marriage decision was a success, at PFLAG we also wanted to make clear that the fight for LGBT rights was in no way over. Taking advantage of the White House while there for a Big Table discussion with Valerie Jarrett about the Obama Administration’s LGBT priorities for the remainder of his term. But in respect to things other than marriage equality, in this past month I have already surpassed all of my initial expectations and goals. 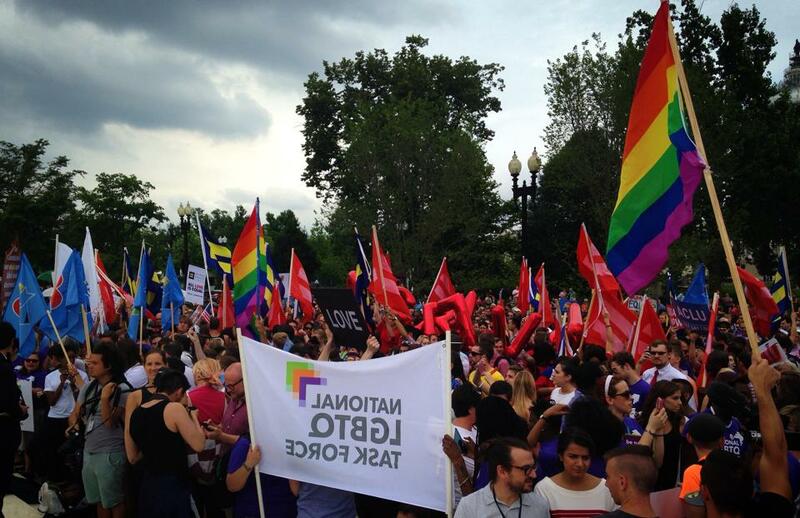 By working on Policy Matters as well as various other policy-related PFLAG publications, I have not only learned so much about LGBT advocacy and policy, but also have become up to date on all LGBT current events. 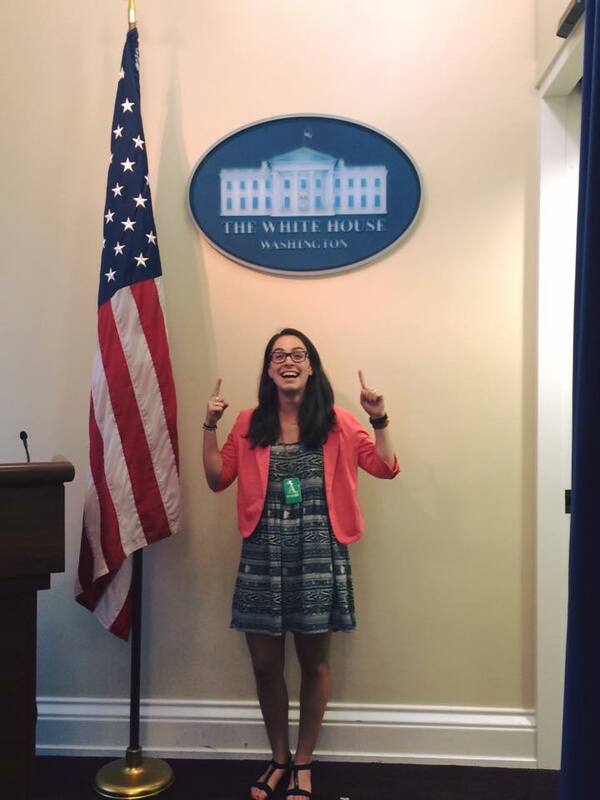 Similarly, by attending White House briefings, and working directly on LGBT federal legislation and advocacy, I have truly learned and received first-hand perspective on the political process and all of the research and preparatory work that goes into policy work behind-the-scenes. Finally, by attending countless events and having my supervisor Diego introduce me to more people than I can remember, I have had the opportunity to meet and form important connections with influential figures in the field of LGBTQ advocacy from across the country. 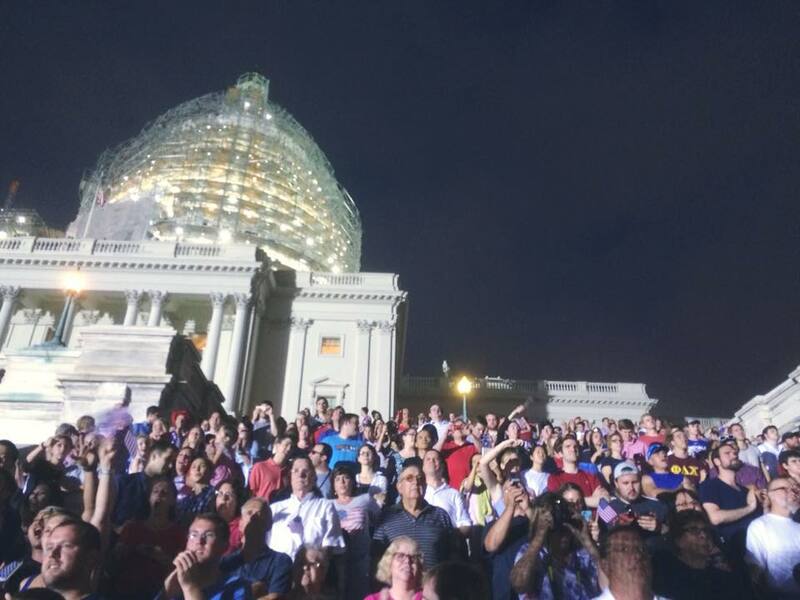 An exciting July 4th in our nation’s capital while on our nation’s Capitol. All of these skills, experiences, and connections will prove valuable in the future. I am doing all I can to take in and take advantage of every opportunity offered to me while here in DC and while working at PFLAG National. It has been such a beyond marvelous month so far, and I cannot wait to see what is in store for the month ahead. The Streetlight Schools that I was working at during my last week in Johannesburg felt worlds different than the Streetlight Schools that I began working at back in May. The organization didn’t fundamentally change, but my role certainly developed. The internship helped me to develop new skills as well as to realize my future professional goals and aspirations. 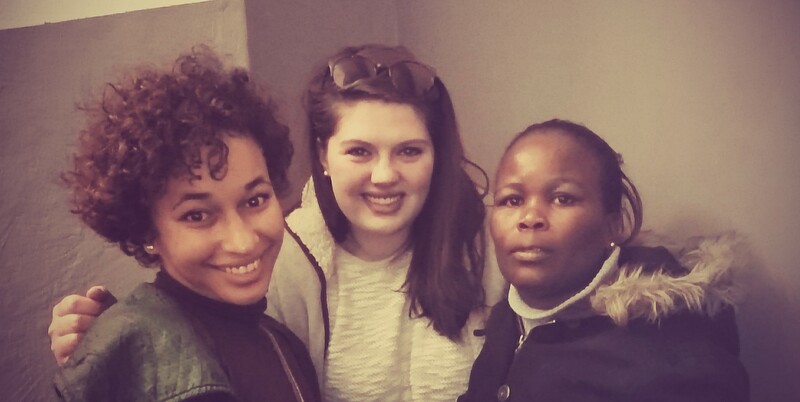 When I arrived in South Africa in May, I knew that equitable education was important to me, but now I know that my professional future will involve increasing opportunities for education in the United States or abroad. This internship not only made me more sure of my goals, but it also improved my skills in the office, which was exactly what I was looking for. In the past, I’ve been lucky enough to gain quite a bit of hands-on experience with students in classrooms, but I’ve had little exposure to independent work in an office setting in the non-profit organization. I now realize that if I was employed in a position which was entirely office-based, I would be unhappy in the long run. It is for this reason that the Streetlight internship was the perfect balance for me: I spent mornings doing research in the office and afternoons tutoring in the Learning Centre. As far as changes at the organization, I was incredibly luck to be able to witness the organization progress throughout the course of my internship. When I first arrived, I was looking for a team environment, however most of my work was independent. It was quiet in the office, and while there was a lot to do, it seemed to be going slowly. But as time went on, it seemed like good things were happening left and right. During my time there, we created a Facebook page, a blog about innovation in education, and we also further developed the website. 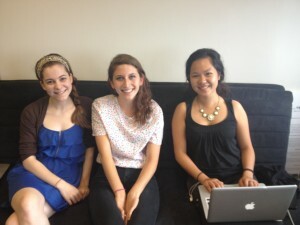 The organization also welcomed two new interns during my last month, both of whom I learned quite a bit from. It was also nice because they moved into my apartment with me, which was in the building that I was working (owned by Bjala Properties, the affordable housing project that partners with Streetlight Schools). As a matter of fact, I think that that was one of my favorite things about the internship (which ended up making it more like a residency). I lived in the building that I worked. Normally, I think a situation like this might be a little bit too much, especially when putting a large time commitment to a job. 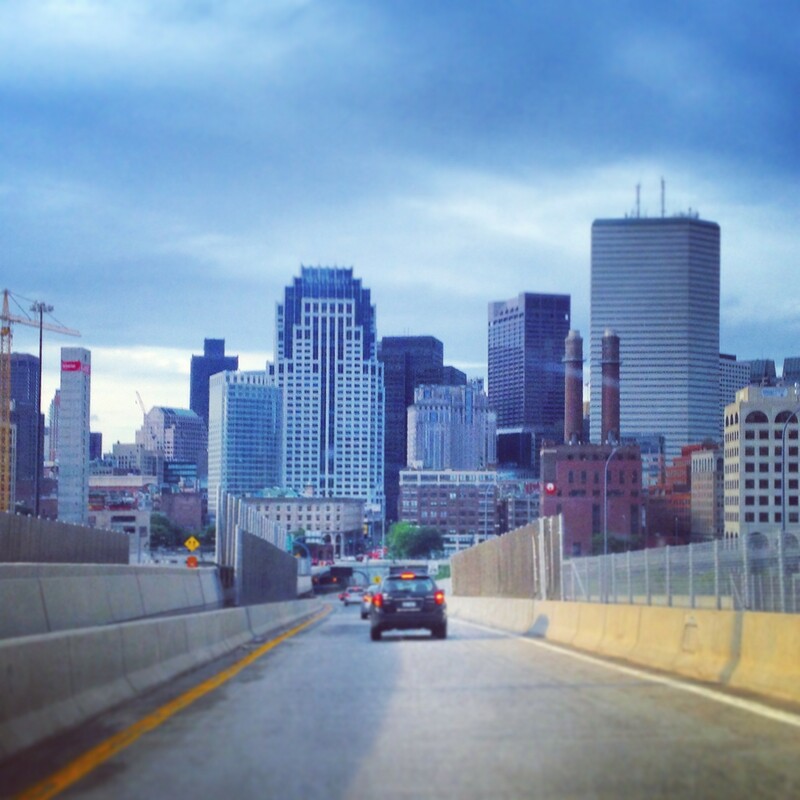 I was initially slightly afraid that I would never be able to get the feeling of going home after a long day at work. It was, in fact, an incredible opportunity because it allowed me to learn more about the families that the Learning Centre was serving than would’ve been possible if I had been living elsewhere. All in all, I learned a great deal during my internship at Streetlight Schools. I clarified about my future career. It also provided me with the opportunity to get to know very knowledgeable people in my field, while working alongside them and observing their inspiring passion for improvement in and through education. The last day of my New York City Seminar and Conference Center (NYCSCC) internship is a bittersweet day for me. I am happy that I have learned so much at this internship but sad that I will not be working with my coworkers every day. This summer, I have finished a Financial Analysis project from the very beginning to the very end. It seems like it was just yesterday that I was compiling data on an Excel spreadsheet. Since all of the data was in Excel, I have honed my Excel skills in the 10 weeks at this internship. I have encountered many roadblocks while doing the Financial Analysis project but the support of fellow interns and coworkers has led me to overcome these challenges. At the end of the internship, I presented the Financial Analysis project in a PowerPoint presentation to NYCSCC employees. Although I was nervous when presenting the project, another feeling overcame that: the feeling of accomplishment. After this internship experience, I will take the analytical skills I honed and apply them to my Brandeis classes. During my junior and senior years at Brandeis, I will be taking Business and Economics classes and will need to use these skills in the class projects and papers. Following this internship, I want to complete more internships that allow me to focus on developing my skills. While completing the Financial Analysis project, I realized that I am a process-oriented person and enjoy completing tasks from start to finish. For those of you looking to intern at NYCSCC, I suggest that you attend the Winter NYC CIC fair because NYCSCC is usually at the fair. 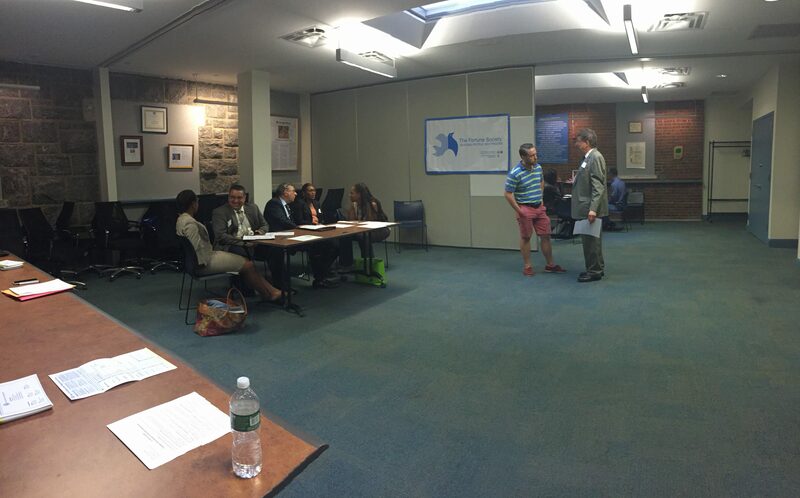 Before applying to the internship, you should look into the NYCSCC website to get an overview of what NYCSCC is. 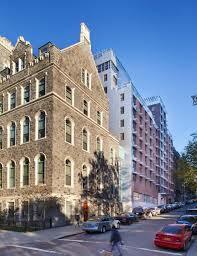 NYCSCC has internships in both marketing and finance. 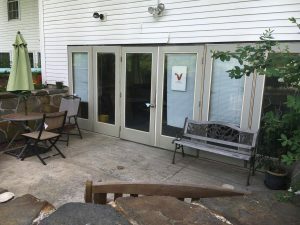 Having talked to the Marketing intern throughout my internship, I know there is so much you can learn in either area at this small business hospitality company. If you want to get an idea of what the benefits of interning at a small business are, you can check out my small company blog post. For students interested in the small business hospitality field, make sure that you are a people person. In this field, employees are always dealing with clients and making sure that they are getting the best services possible. Therefore, you should be ready to do the same at this internship. Interning at NYCSCC has been an enjoyable and memorable learning experience. I have built close connections with NYCSCC employees, and I will keep in touch with them even after the internship. Small companies are great places for summer internships! My experience so far at NYCSCC will help explain why. One of my WOW learning goals is to network at my internship. While interning at NYCSCC, I met a fellow Brandeis student, Corey Shapiro. Corey is a rising senior and is an intern at a small web development company, Hudson Horizons. When I asked him what his internship duties were, he excitedly explained them to me. One of the projects that he completed involved testing the mobile application of one of Hudson Horizon’s clients. Corey also did research online and found a few potential clients for Hudson Horizons. He said that although there are challenges, his supervisor and his mentor are always there to help him overcome them. When Corey spoke about this support at his internship site, I related it to the intimacy I feel and the guidance I receive at NYCSCC. Due to the size of NYCSCC, I get to know all my coworkers and can truly collaborate as a team. Furthermore, I get to speak with one of the owners on a weekly basis and have picked up plenty of advice and knowledge based on his experiences. I expect to keep in touch with him and all my coworkers even after my internship ends. In a small company, I have many internship responsibilities and projects. I have learned to “wear multiple hats” just because there are not enough people to fulfill all of the business functions. Not only am I exploring the company’s finances, I am also helping out in event operations and writing blog posts for the Flatiron Hot! News, a company partnership. As a result of doing a little bit of everything, I am gaining skills that I never thought I would gain this summer. I have quickly learned that the challenges that small companies face are different from the ones that big companies face. Small companies do not have the same resources as big companies. As an intern, I can provide my coworkers with a fresh, outsider’s perspective. I offer suggestions on what the company is doing well and what it could do better to maximize its resources. I feel valuable. I know that every suggestion I make and every project I do count. By the time my internship ends, I know that I will have an impact on this company. Both Corey and my experiences show the benefits of interning at small companies. Even though not all small companies come to Brandeis to recruit students, these companies are always looking for interns throughout the year. There are so many opportunities for students to gain knowledge and develop skills at these companies. Students just have to be proactive and look for them. It’s hard to believe that my time at AJWS has already come to a close. I am sad to be leaving such an incredible organization with inspiring and dedicated people, but I am excited about the insights I have gained this summer. I feel that I have come closer to meeting my learning goals than I ever could have imagined. In part, this is because working at the organization was a very well rounded learning experience. What I am taking away from this summer at AJWS is more than just the ability to complete tasks, or improved research and database skills. I learned something extremely valuable about the culture of an effective organization. 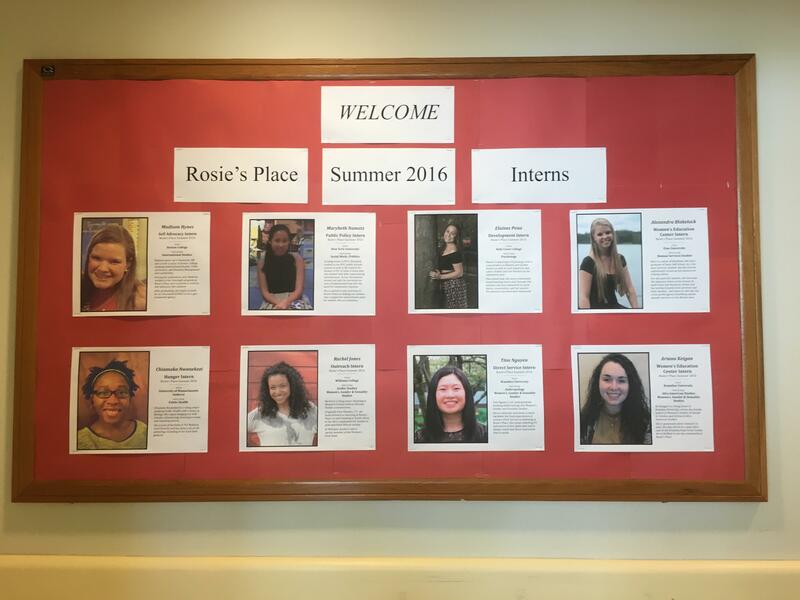 At the beginning of the summer, my main goal was to learn about the operations of a nonprofit; the diverse roles played by individuals and teams and the strategy behind methods of social change. While no individual task or accomplishment could teach me this, I was lucky to have the opportunity to work with two different teams: Donor Engagement and Major Gifts.. This gave me insight into what the two divisions needed on a basic level to do their work. My research provided background information on where to host events, who to contact, which organizations to potentially partner with, and what kinds of events other organizations are hosting. In completing these assignments, I learned about the strategy behind event planning and fundraising, as well as the kinds of information needed to make these decisions. Another one of my learning goals was to be able to talk about AJWS’s work in a persuasive way. My work in Development and Alumni Relations at Brandeis (through Phonathon) has provided me with the opportunity to discuss my college experience with diverse alumni, and to hear their stories as well. Part of what excited me about working in development at AJWS was that I could learn the vocabulary to discuss the organization’s work in a similarly persuasive way. A few of my tasks and accomplishments helped me to do this. First, I read through countless publications to organize issue packets for donors. This familiarized me with the language used to talk about different issues and the work being done in various countries. I also worked to draft a publication on disaster relief, which allowed to employ some of the language I’d learned, using the style guide and AJWS branding to guide my writing. I also wrote blurbs about the Study Tour program for the AJWS website, which provided me a similar opportunity. 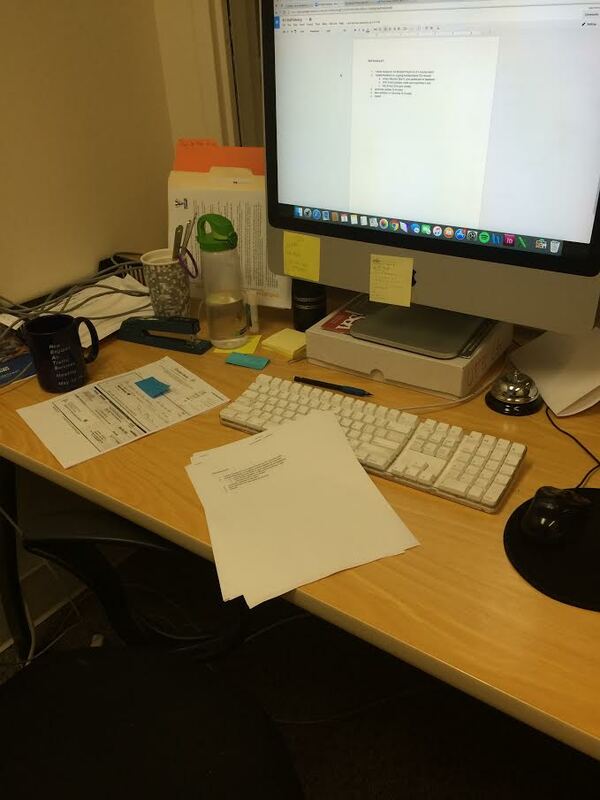 All of these experiences gave me the tools to sound credible and educated about AJWS’s mission and work, which culminated in the opportunity to make thank you calls to donors! This was nerve wracking and exciting, and I felt confident that I met my goal. I am excited to build on this experience back at Brandeis. My work at Phonathon is a different kind of development, but listening to people at AJWS talk about their relationships with donors, fundraising strategies and experiences will stay with me and lead a better understanding and purpose in my work. Additionally, this new outlook will stay with me in my job search this coming year. 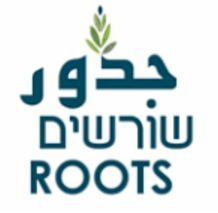 I know that I will definitely be in touch with AJWS in some capacity- I have truly fallen in love with their mission and work, and would be honored to volunteer, travel, or work for them again in my future. The advice I would give to a student interested in interning at AJWS is to take advantage of the connections available to them. It is so important to make the most of every day working there. The staff is well educated, diverse, and passionate about any number of different things, and they are so willing to impart wisdom onto young people. I am truly thankful for the meetings I’ve had with people I didn’t even work with, because it provided me with important perspective on career choices, educational choices, and even life choices. 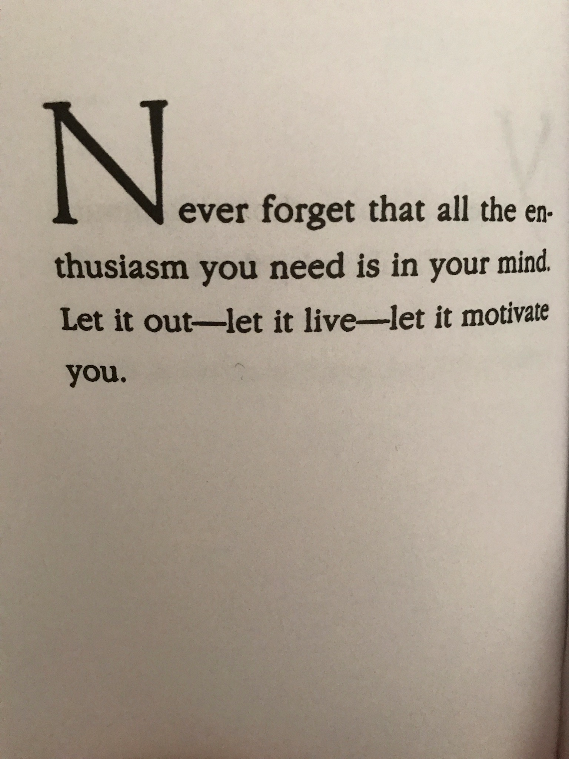 Another piece of advice that certainly goes for AJWS, but is also relevant for other nonprofits is to try to go above and beyond. It might be hard as an intern, but I found that it was stimulating and exciting for me to do more than was asked of me. It was not necessary for me to draft a publication this summer, but I really wanted to try it out. Whenever I felt that my work was going slowly or dragging on, I asked for more. These are easy ways to get the most out of your time at an organization and really enjoy the experience. 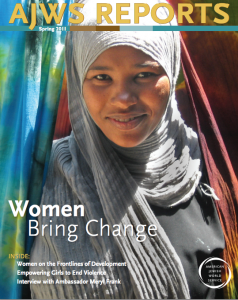 As I mentioned in my mid-way blog post, my work in Development at AJWS has ignited my interest in communications. My next step is to look into the ways that social justice and nonprofit work intertwine with the communications field. I understand development as a certain type of communication, with a very specific purpose. I am excited about the prospect of learning about new kinds of communication that can raise awareness about important issues, raise money, and frame discussions to be productive. In my job search, I will certainly be looking into firms and organizations for positions that combine these interests. My summer in development has provided me a window into what it means to communicate effectively, and I’d love to develop that even further. Above all, my time at AJWS has educated me even more about why my ideals of social justice hold true. I deeply believe in equality, human rights, and a moral obligation to help those less fortunate. AJWS voices these concerns with a grounding in Jewish texts, but also with common sense. The culture of the organization has reinforced my idea of making change from the ground up, respecting communities and the knowledge they have about their circumstances, and using that as a catalyst for change. 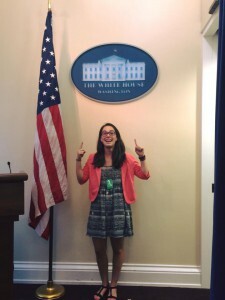 Because of my experiences at AJWS, I am a better listener, a more efficient worker, a more dedicated citizen, and most importantly, a more passionate and inspired change agent. If nothing else, that will stay with me. Hi everyone! 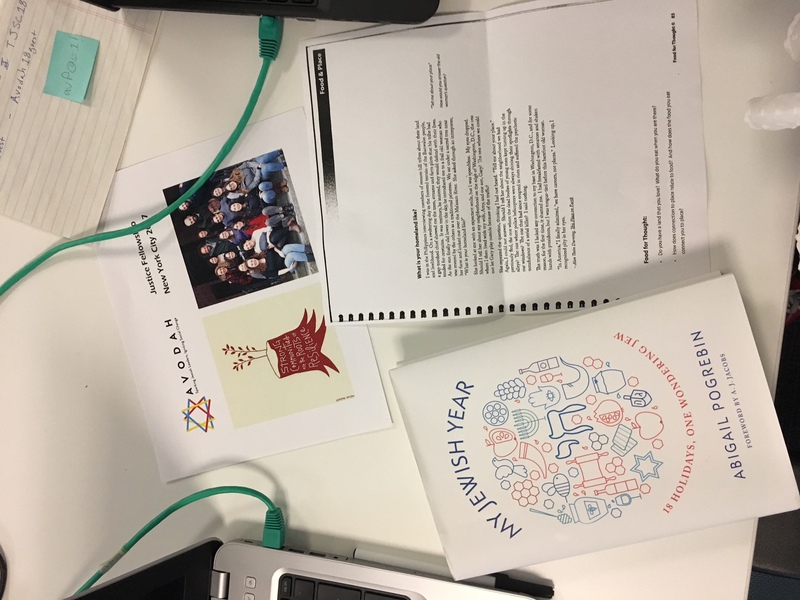 I have just finished my first week of my internship at American Jewish World Service. AJWS is a nonprofit organization that seeks to realize human rights and end poverty in the developing world. That mission statement is a mouthful, which is why I was so interested to learn more about all of the work that AJWS does. I first found out about the organization a few years ago, when my cousin went on a service trip with AJWS to Ghana. When I saw the posting on Hiatt’s B.Hired website, I got very excited because I already knew about some of the great work AJWS was doing. I immediately replied and made an effort to speak with my cousin about her experience with the organization before my interviews, so that I’d have a more thorough understanding of its work. 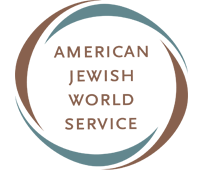 This is the logo for American Jewish World Service. 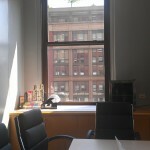 My internship is located at the AJWS New York office in Manhattan. I am working in the Development, with both the Donor Engagement and Major Gifts teams. Both teams assign me projects and I have a series of meetings with members of each team over the course of the summer, so that I can learn about the work that they do and their roles in the organization. Currently, I am working on a few projects. 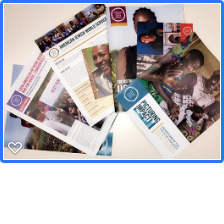 My main project right now is to assemble issue-based portfolios for donors who are particularly interested in one aspect of AJWS’s work. Each issue will get one portfolio, which will aggregate all of the information on that topic. The issues I’m currently working on are women/girls, LGBTI rights/sexual health and rights, natural resource rights, disaster response, and peace/conflict work. I have really enjoyed working on these issues, and I think it’s a great project to start with because it has really exposed me to a lot of information about the organization. To create a portfolio, I have to go through hundreds of publications to find the right information, presented the right way. Through this, I have learned a lot about AJWS’s grantee organizations in developing countries, the grassroots organizing they are doing, and the diverse ways these small but empowered groups can create change. The cover of a publication included in the “Women and Girls” issue folder. My other projects are not as large-scale, but are also teaching me a lot about nonprofit development. I am helping to organize a spreadsheet of possible venues for AJWS’s upcoming gala fundraiser by looking at what other large nonprofits are doing. Additionally, I am working to research and organize data on donors in specific areas so that when AJWS hosts events there, they are able to invite everyone who might want to be involved. For some geographic areas, I am researching the Jewish community to determine the major institutions and organizations there. In addition to the work I’m assigned, I also have the opportunity to meet many important people in the organization. 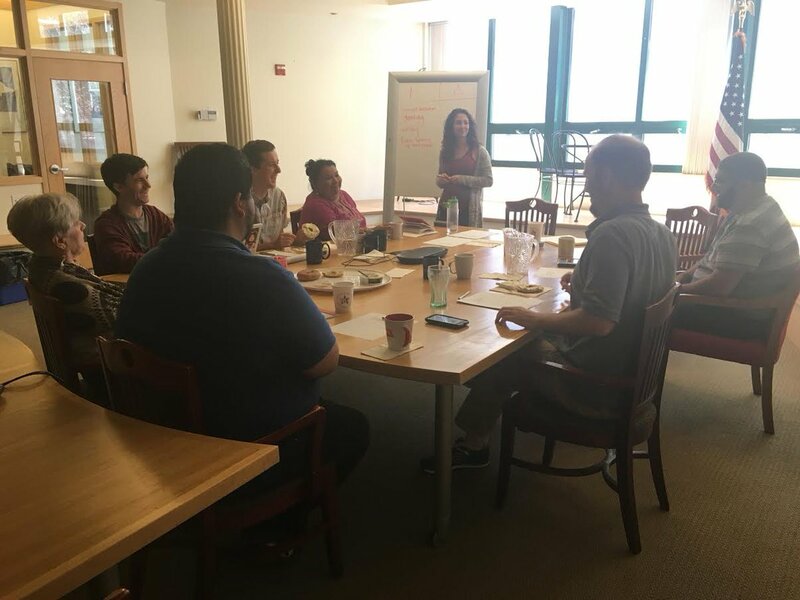 Our internship program is very comprehensive, and includes the opportunity to have lunch with the president of AJWS, Ruth Messenger, as well as other members of the executive board! Additionally, AJWS has a tradition called “Brown bags,” where everyone brings their lunches to a conference room to listen to a visiting grantee speak about his or her experience. This week, a grantee from Haiti came to speak about his work organizing young law students to form a legal accompaniment service for those who need it the most. 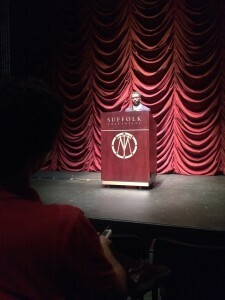 I found this fascinating and was really glad to have the opportunity to hear him speak. 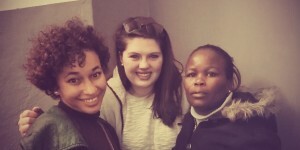 My first week at AJWS has been really great. It is a fantastic working environment- everyone is incredibly friendly and considerate, and made me feel at home right away. I am enjoying the work I’m doing, and I feel that my supervisors are inclusive and making a strong effort to help me understand development and the goals of AJWS. Aside from meeting with various members of the two teams I’m working with, I also got to participate in a training called “Social Styles,” which taught me a lot about professional styles in the work place. The other interns and I all discussed our personality types and were trained in meeting people where they are, creating a more cohesive and understanding working environment for everyone. This summer, I expect to learn not only about development and fundraising (including improving technical skills like databases and excel), but also to learn a lot about teamwork and professionalism. This is my first 9-5 job and I’m loving it so far!